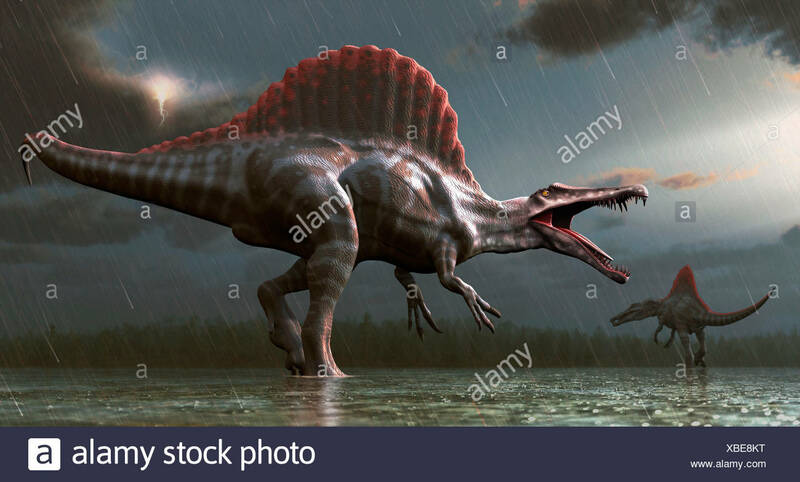 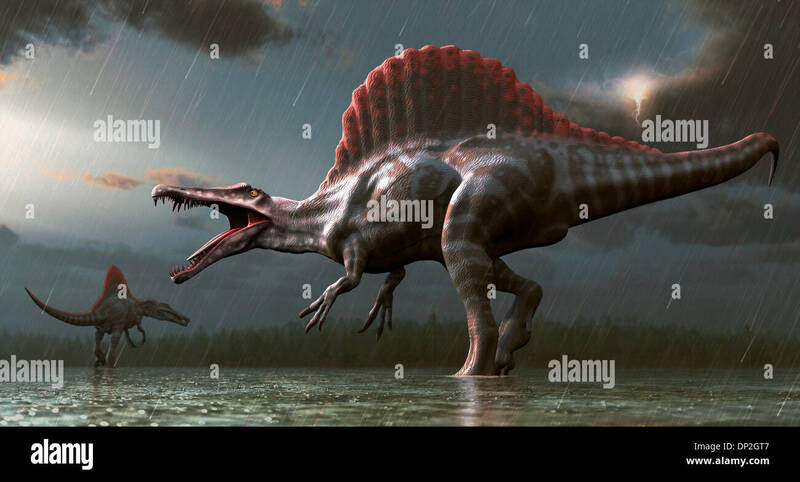 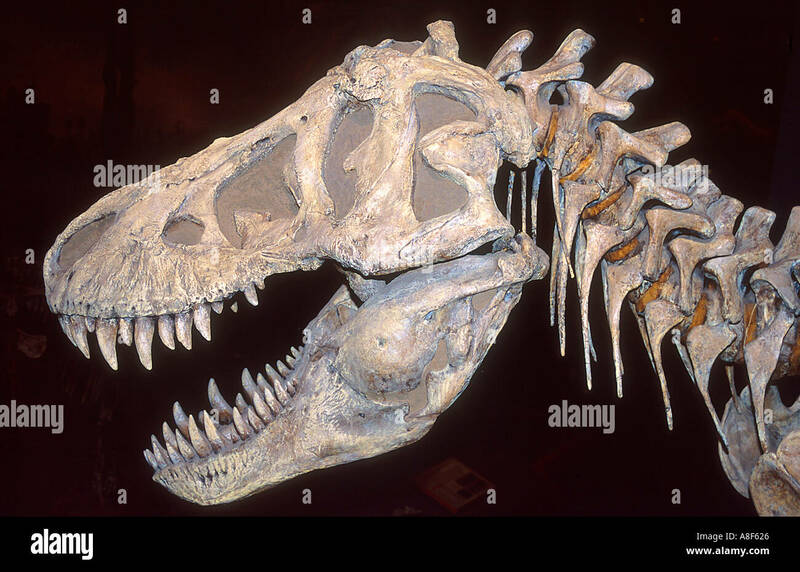 Metriacanthosaurus (which means 'moderately spined') dinosaur from the late Jurassic period. 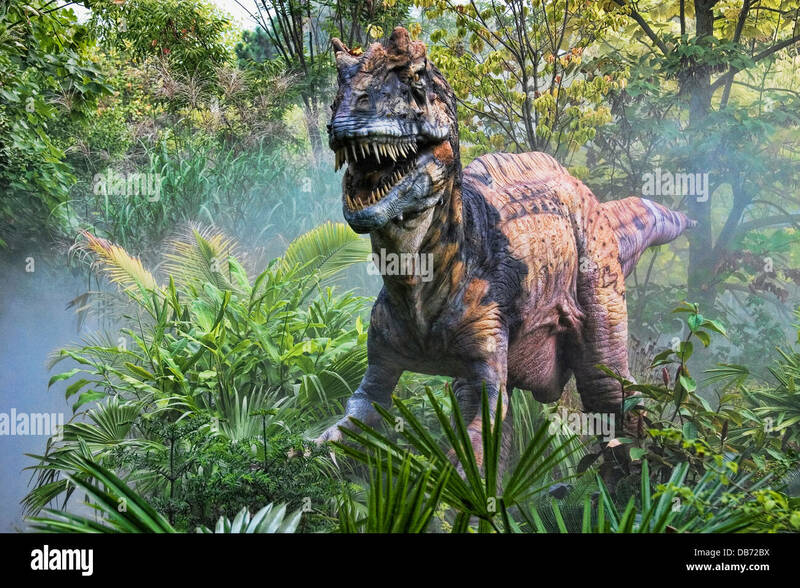 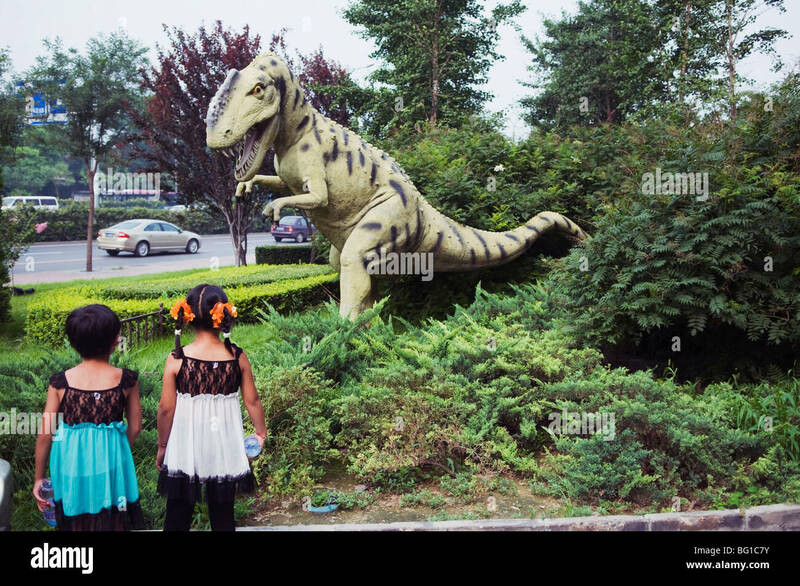 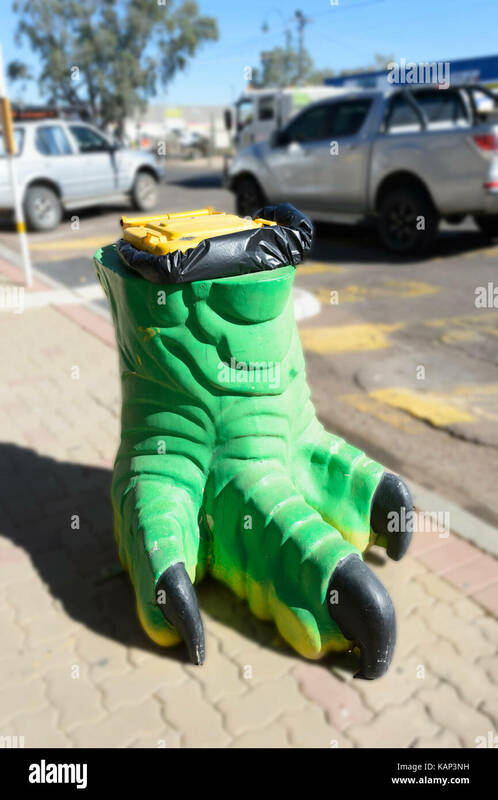 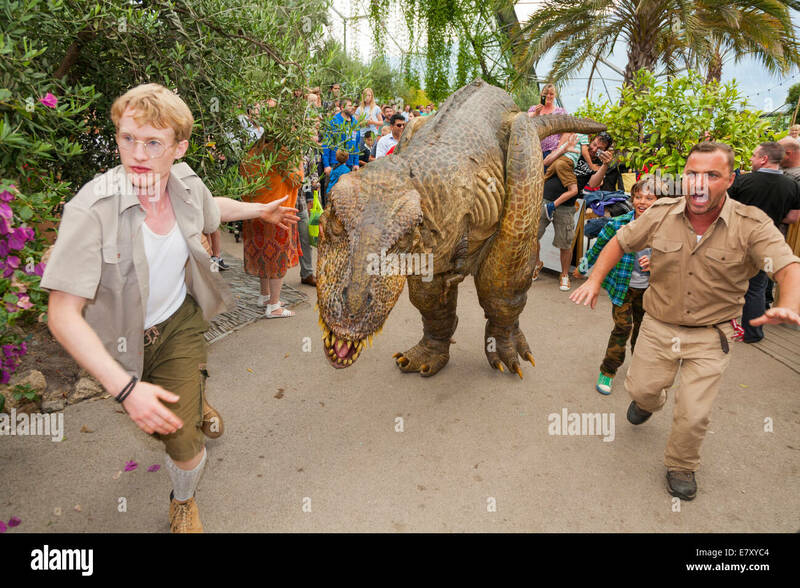 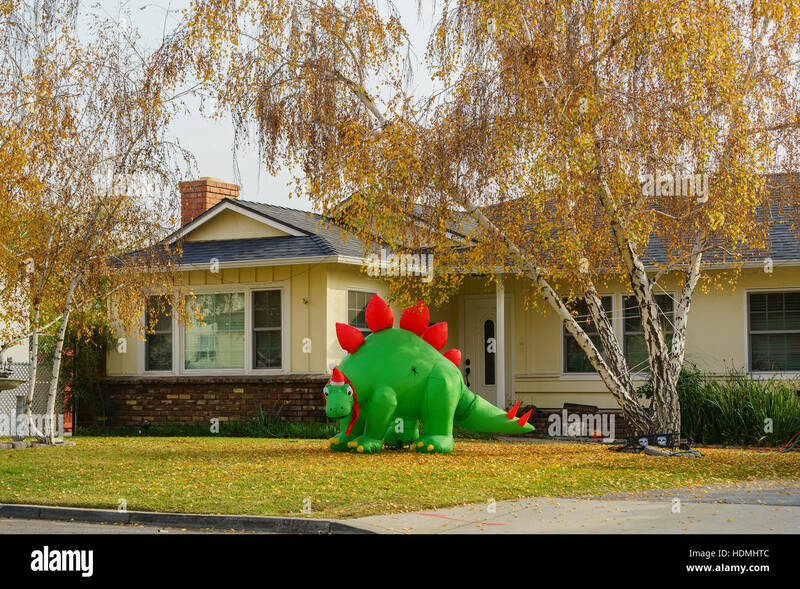 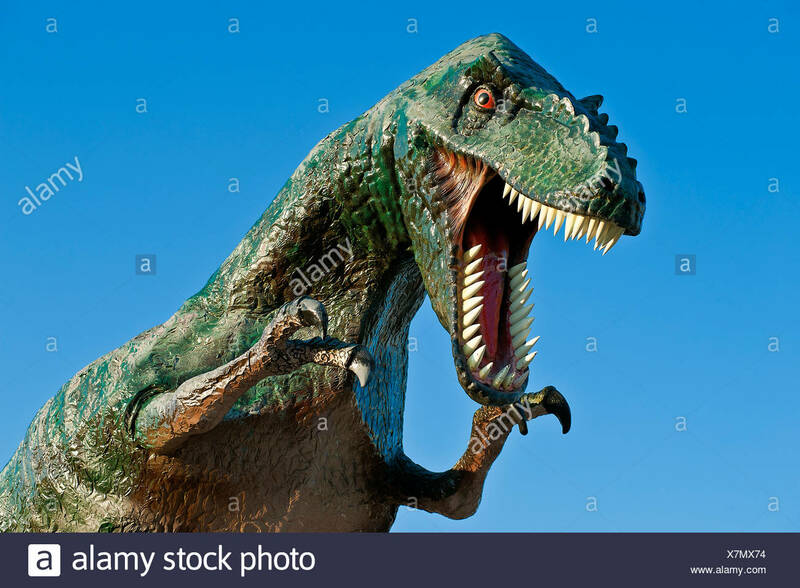 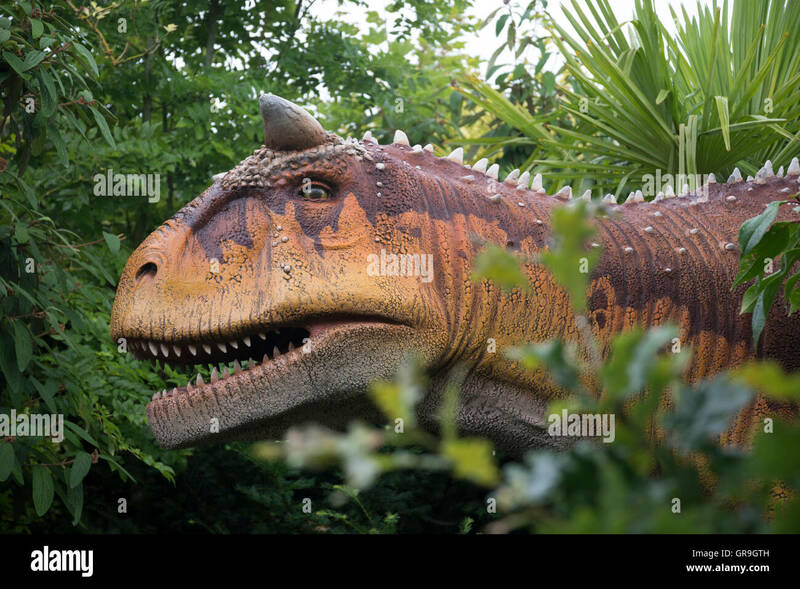 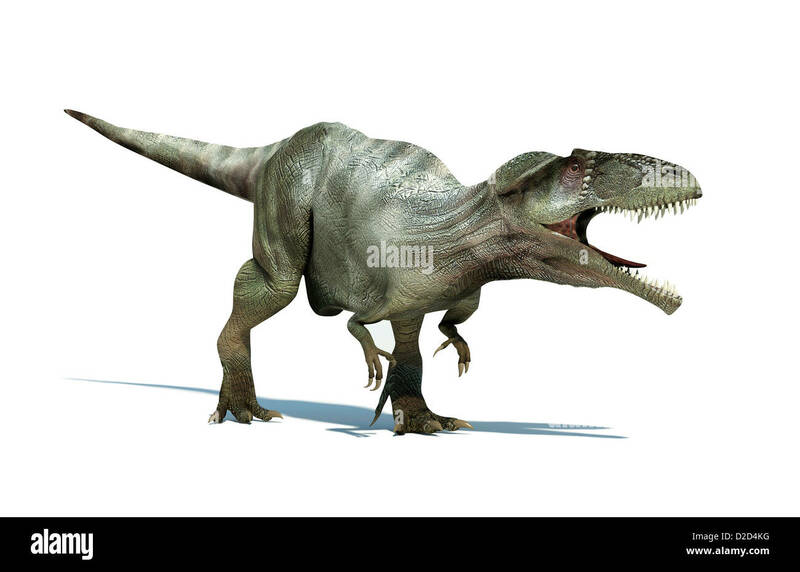 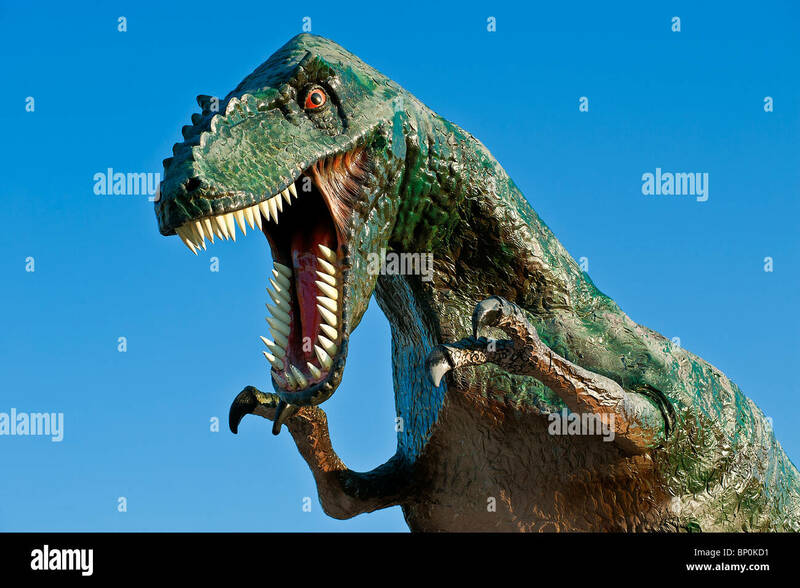 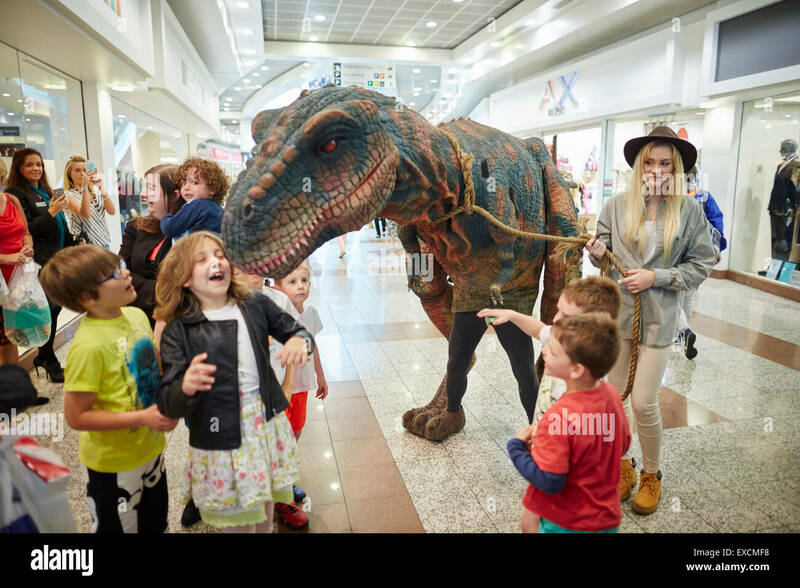 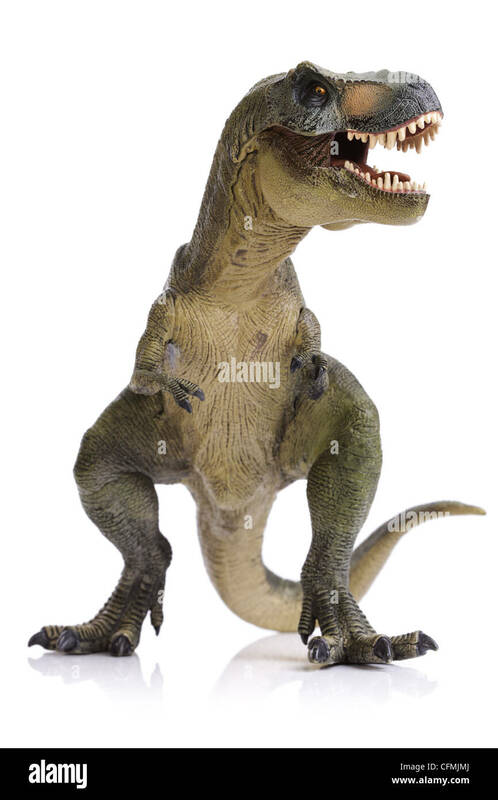 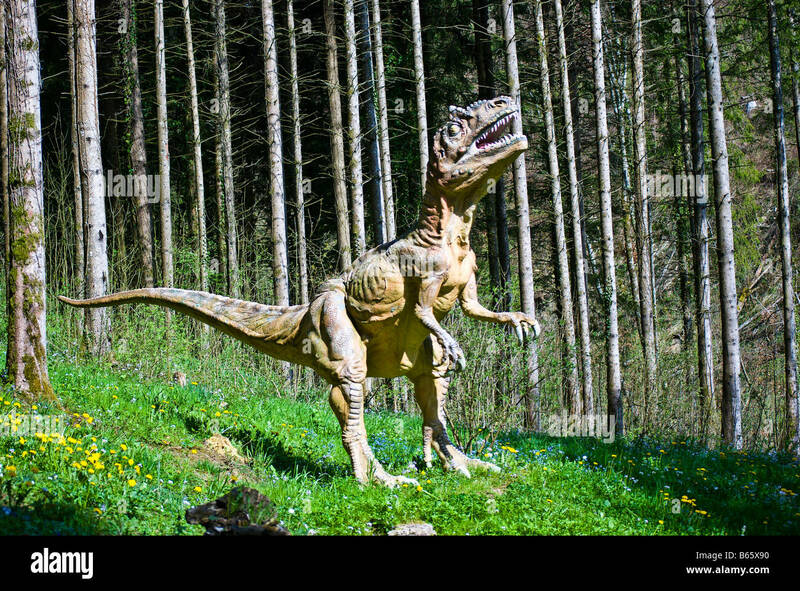 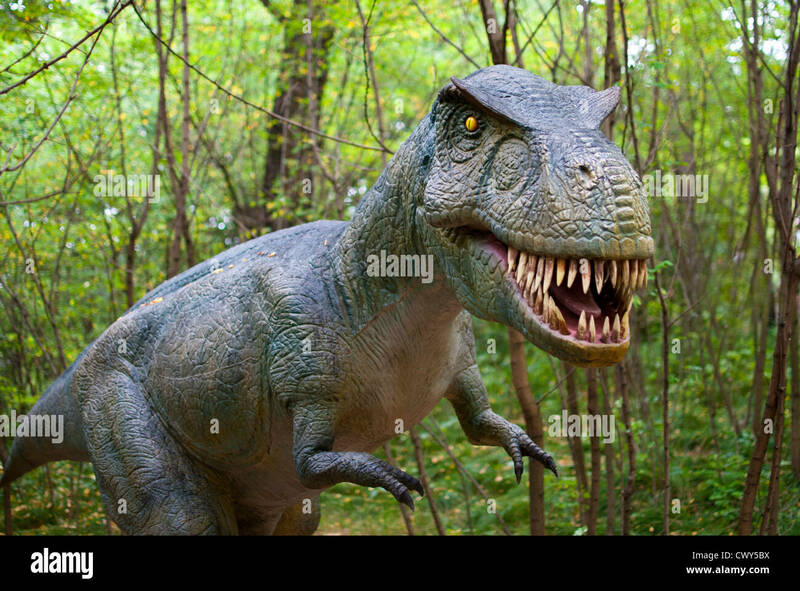 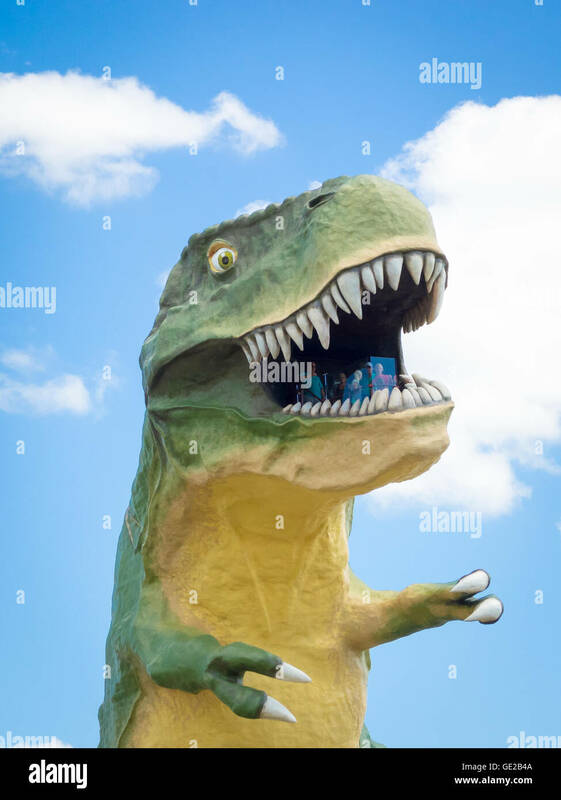 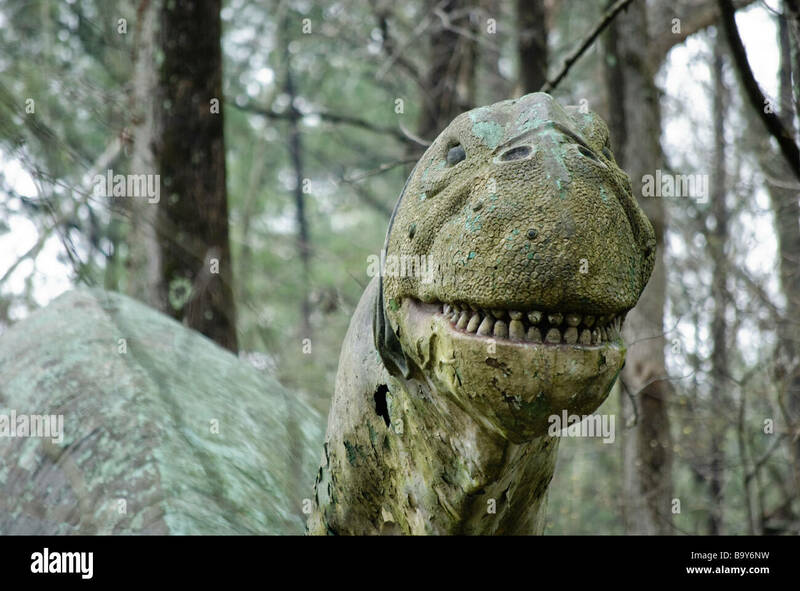 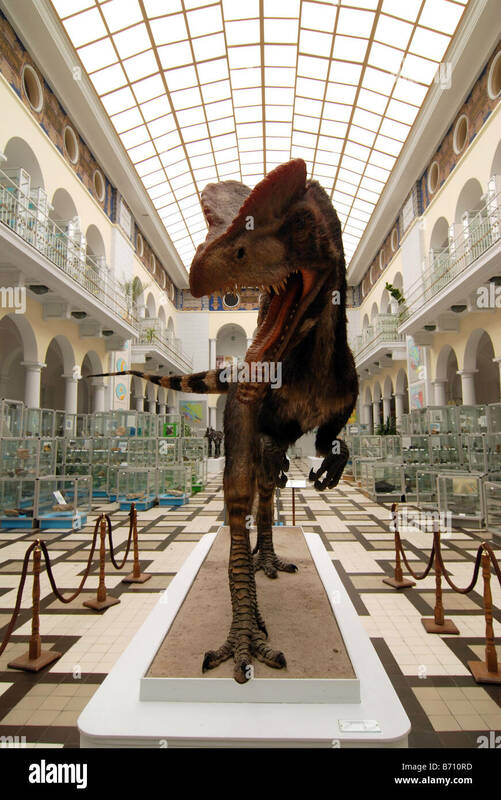 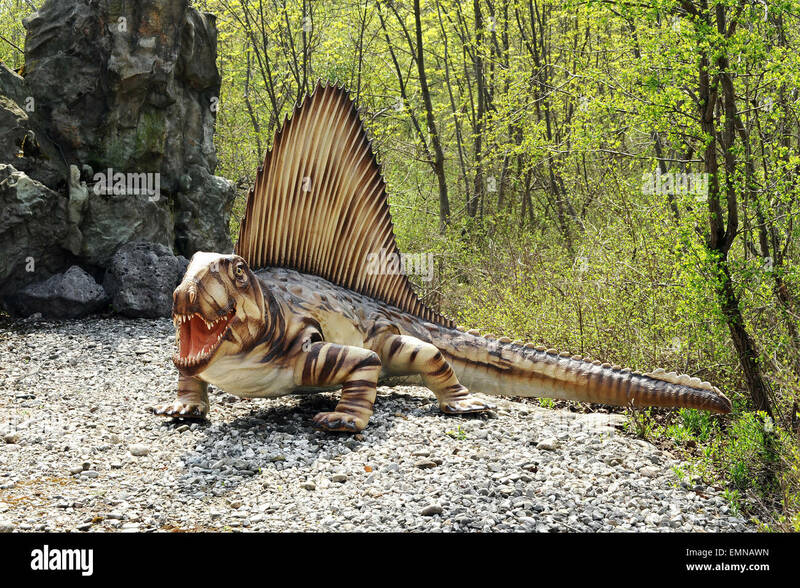 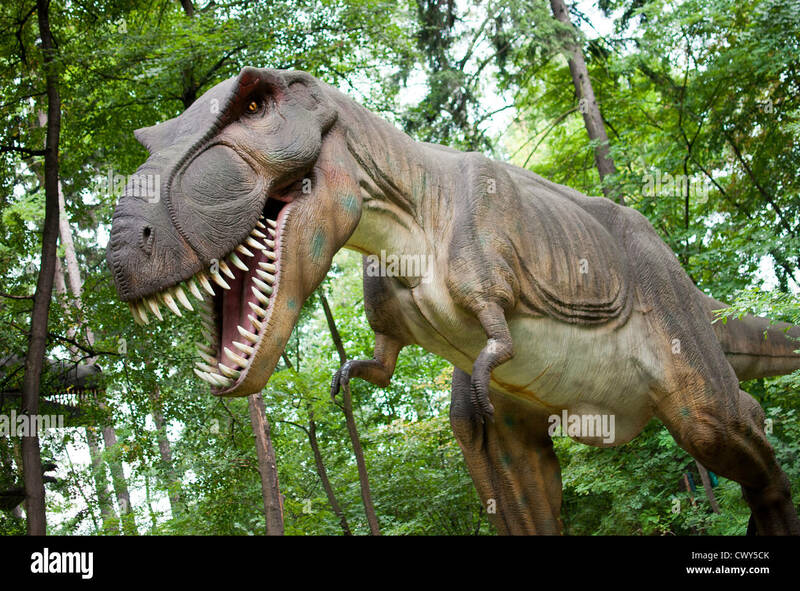 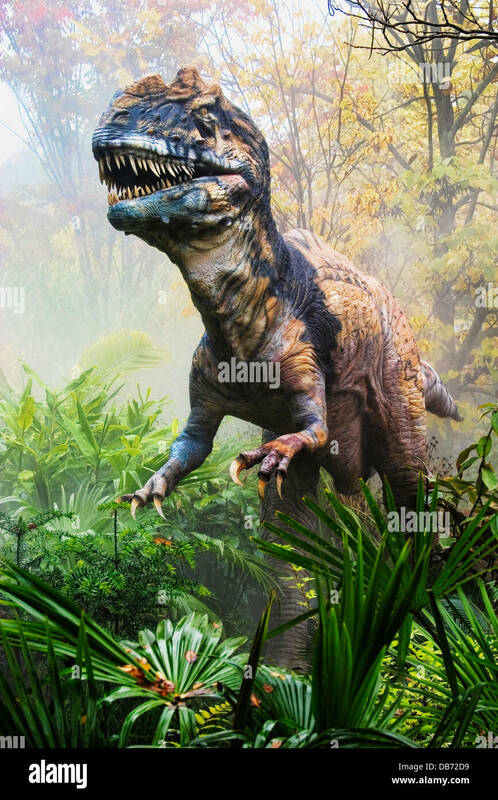 A Tyrannosaurus Rex dinosaur walks through his territory. 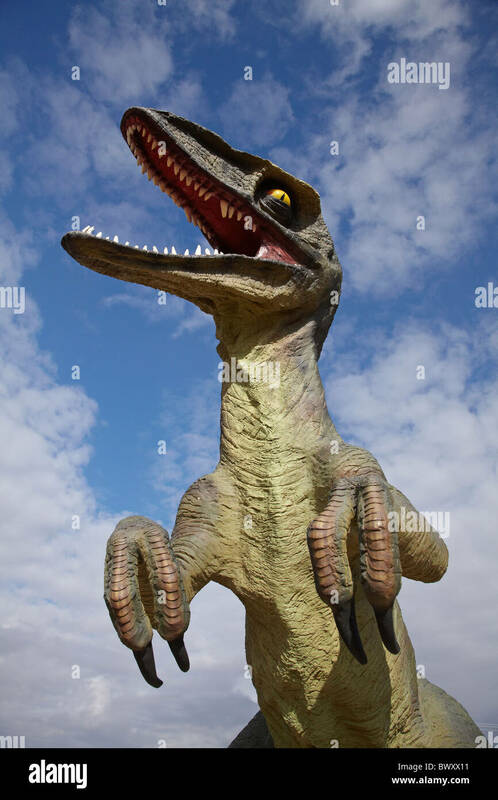 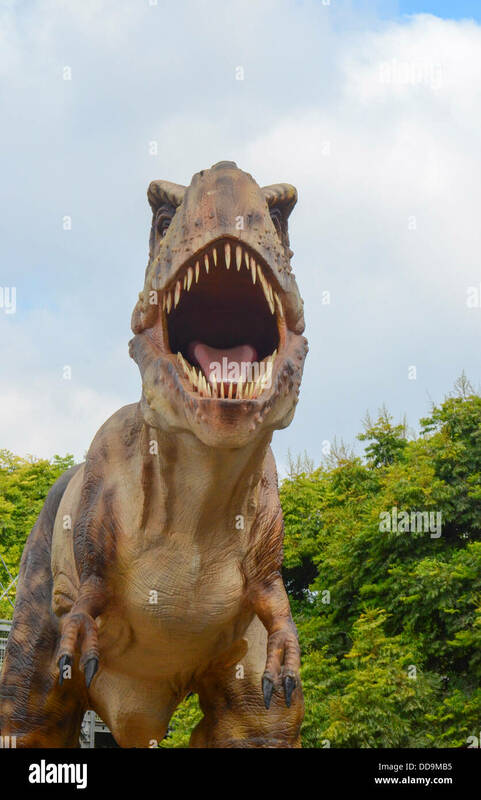 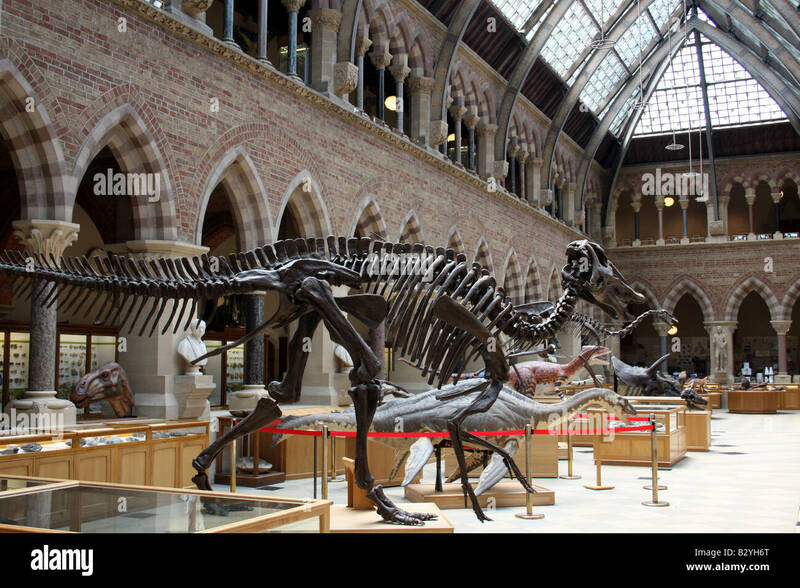 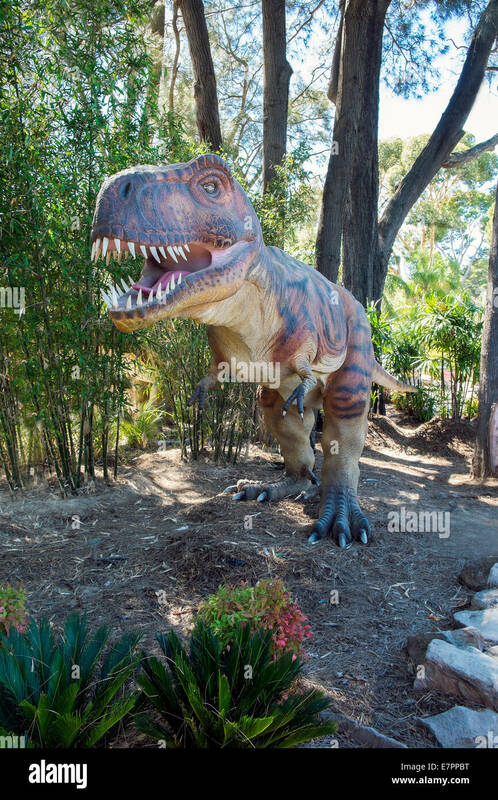 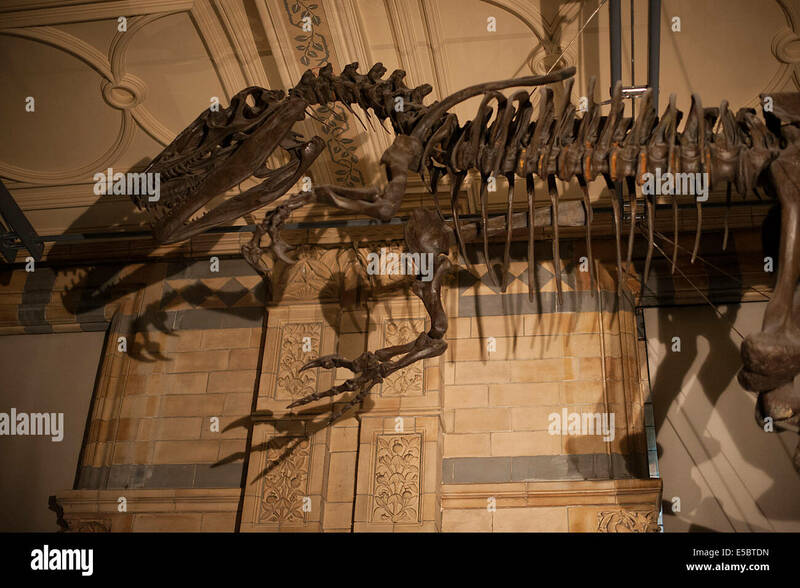 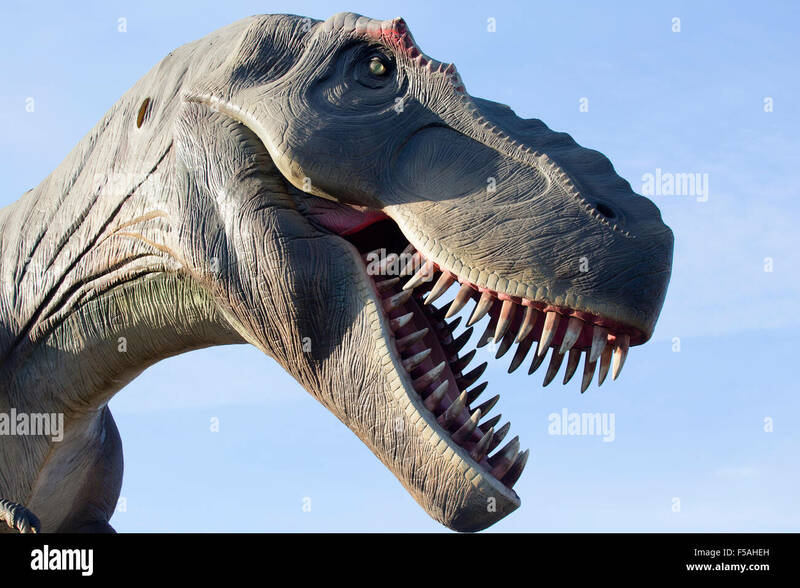 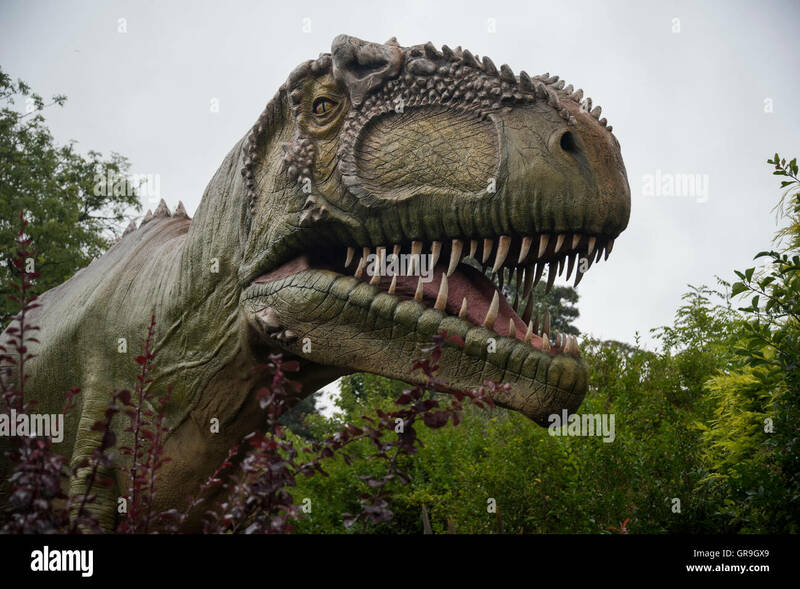 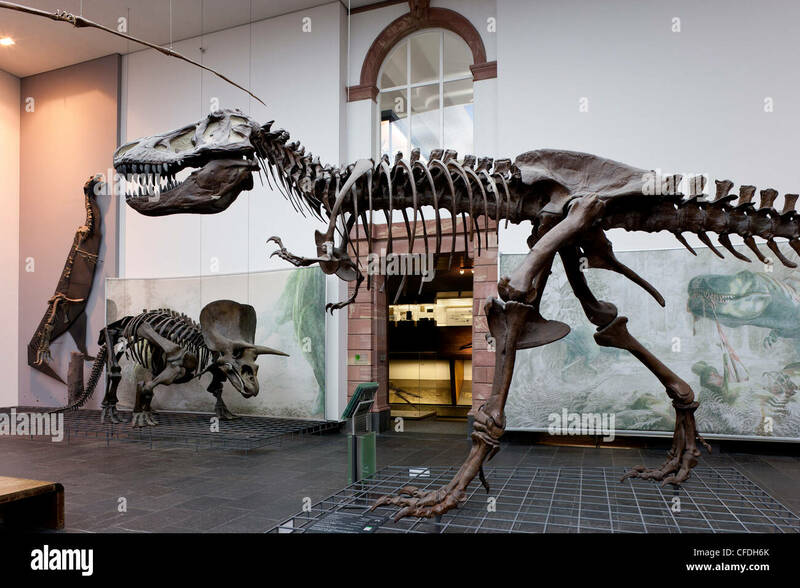 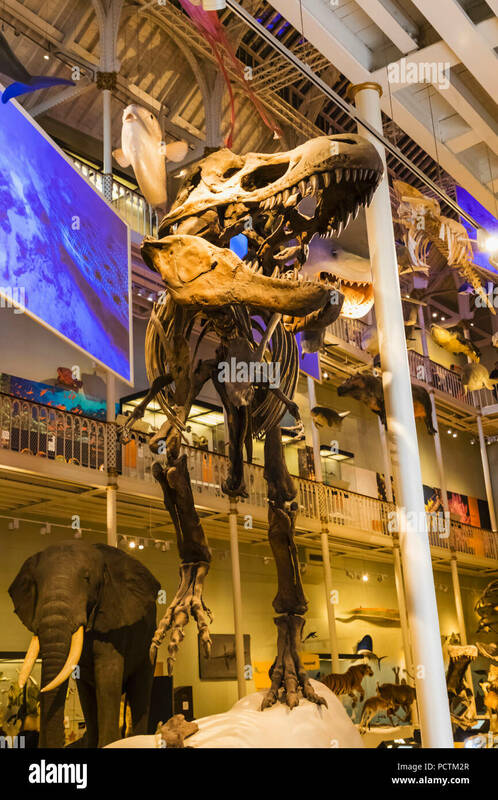 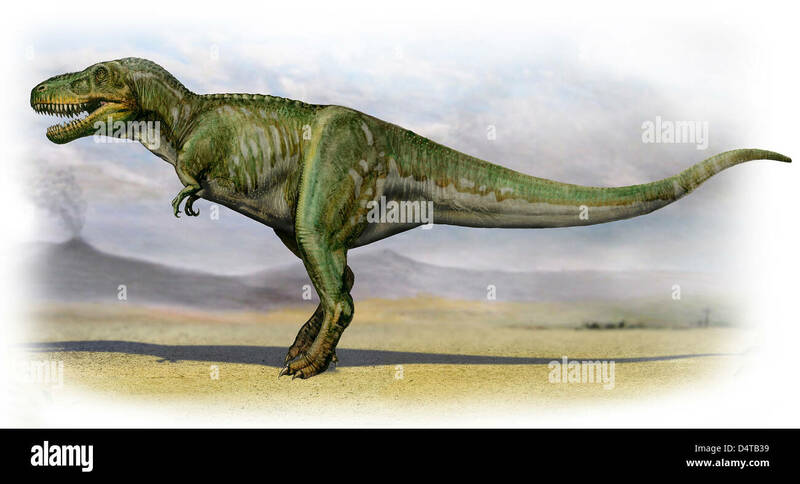 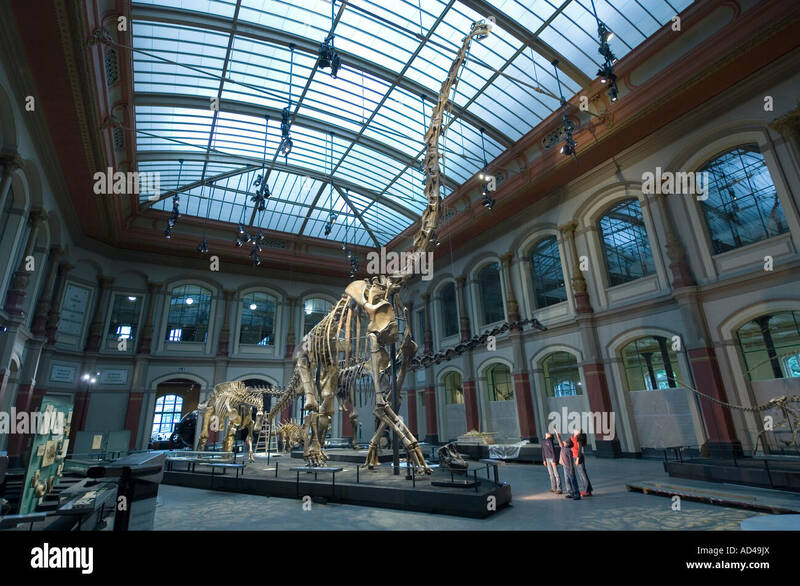 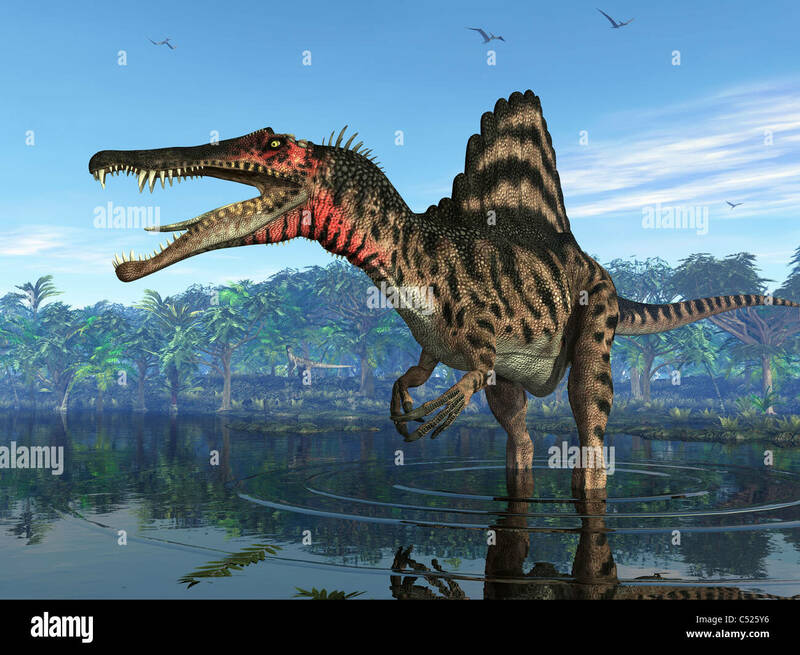 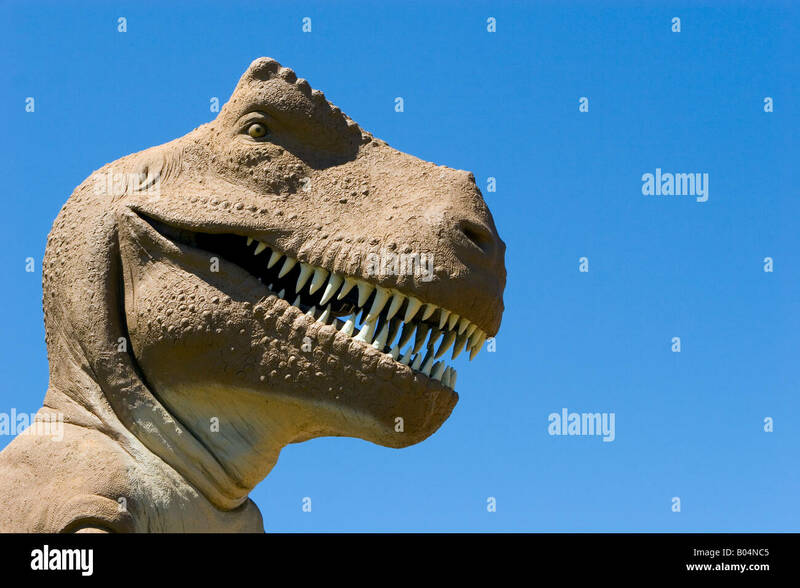 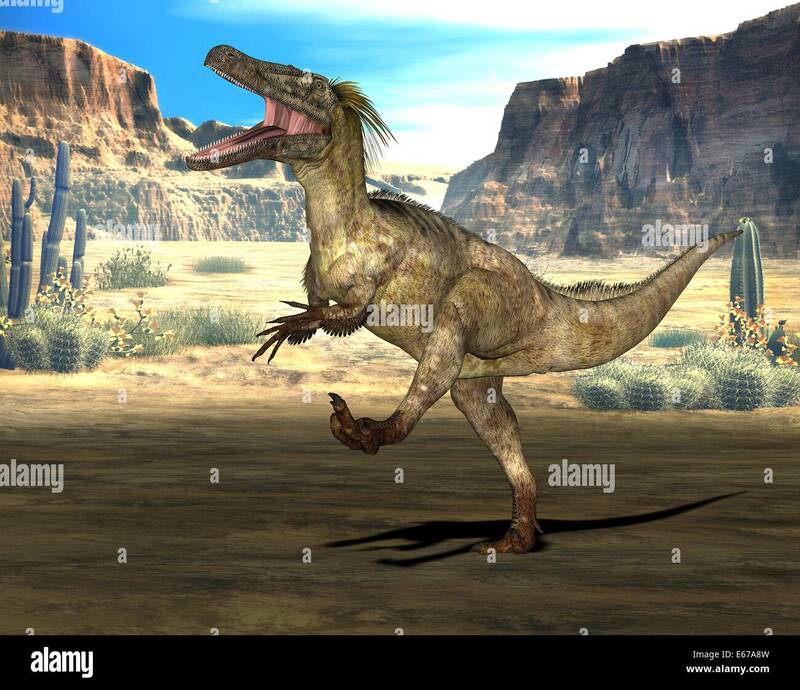 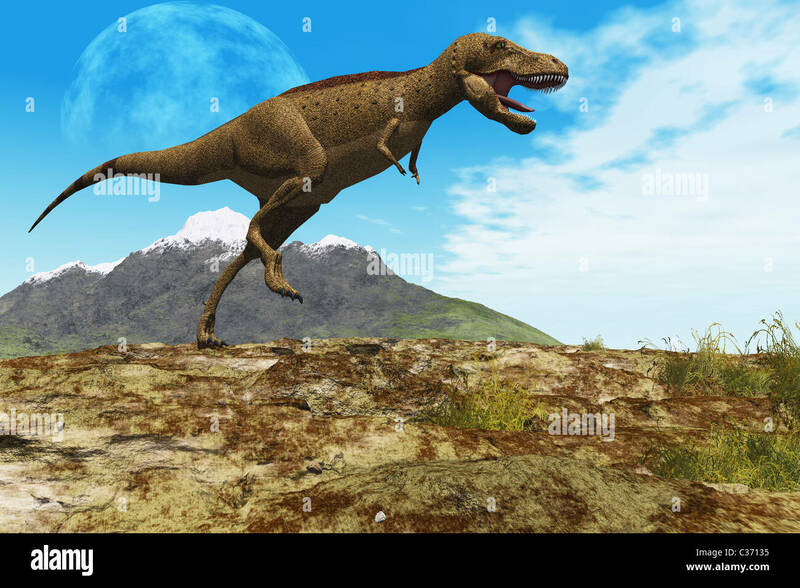 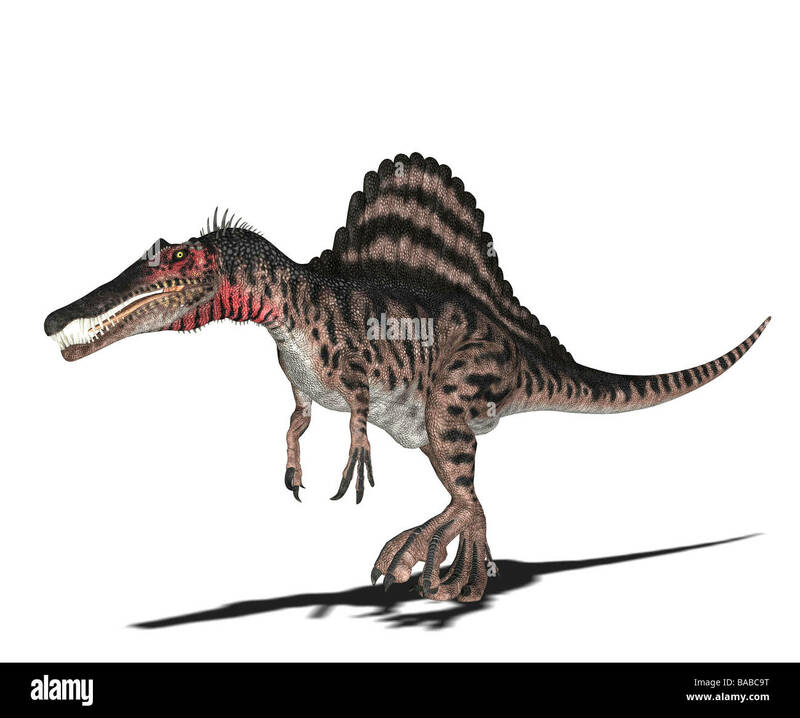 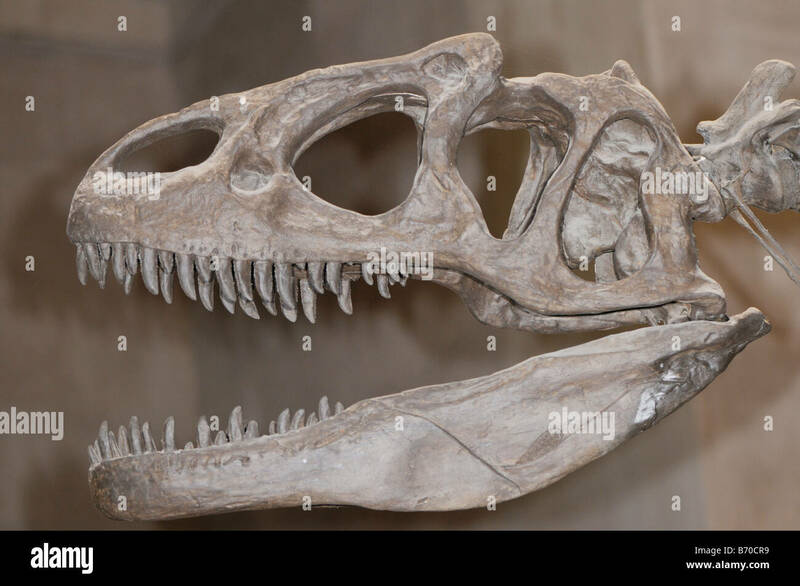 Tarbosaurus bataar, a prehistoric era dinosaur from the Late Cretaceous period. 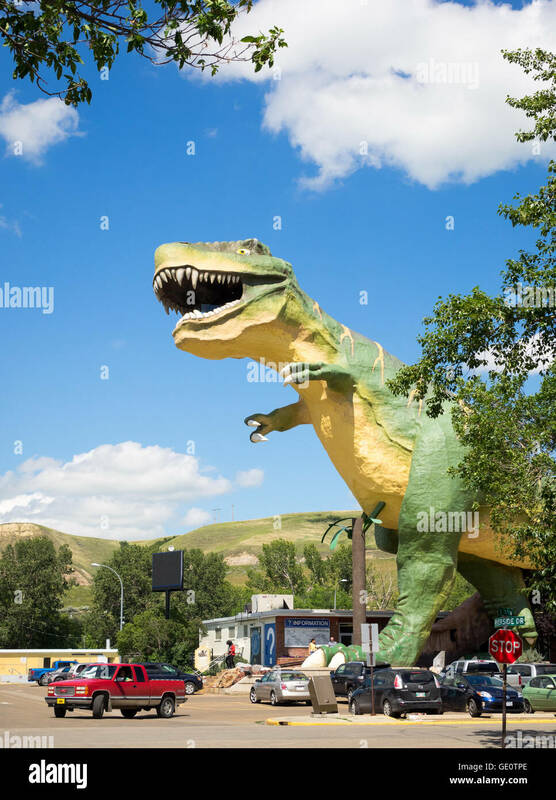 The World's Largest Dinosaur - a 82-foot (46 m) high Tyrannosaurus rex - rises above Drumheller, Alberta, Canada. 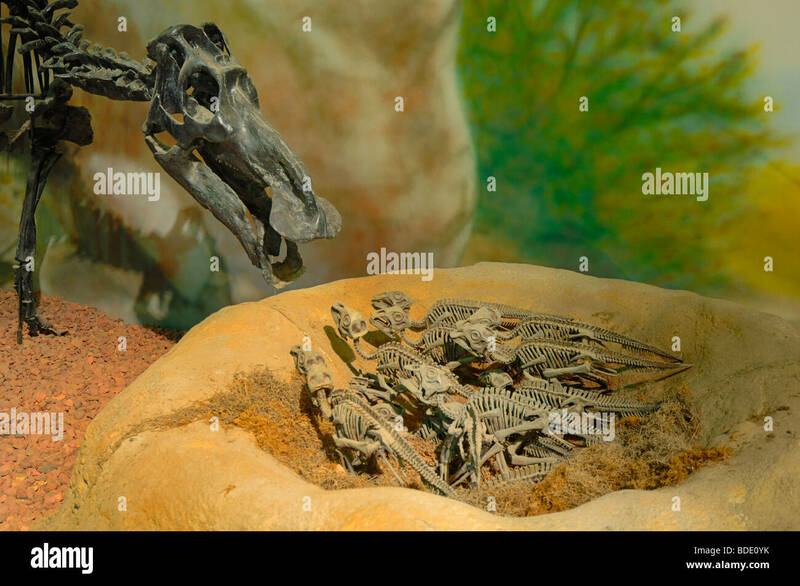 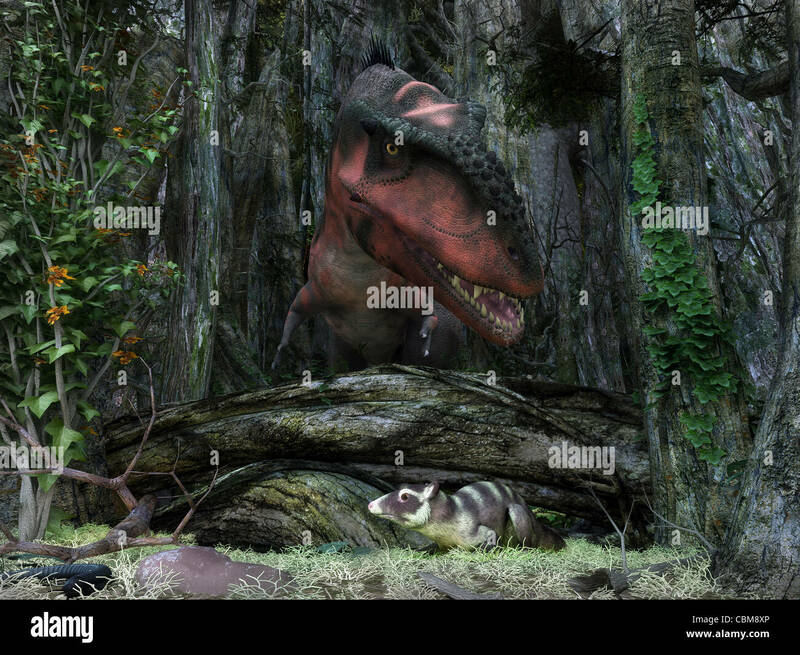 A rat-sized Purgatorius hides from a Bistahieversor dinosaur in a cretaceous forest. 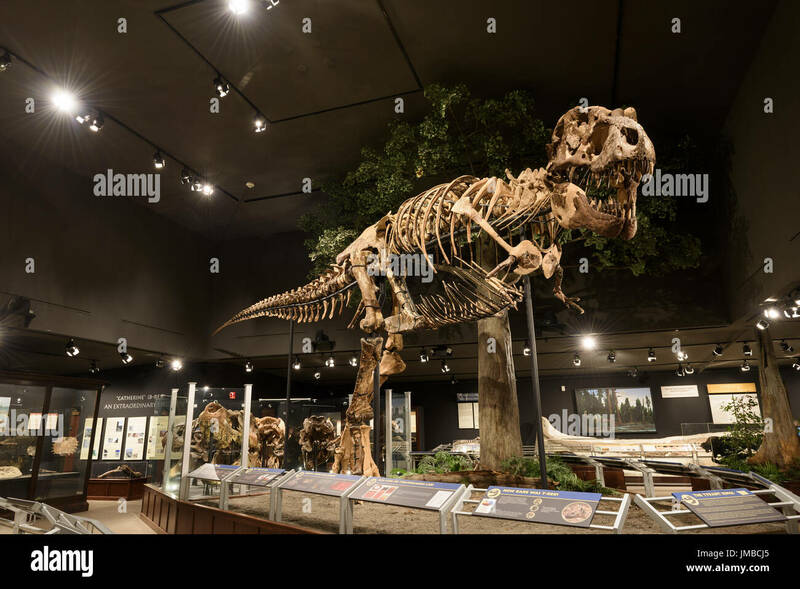 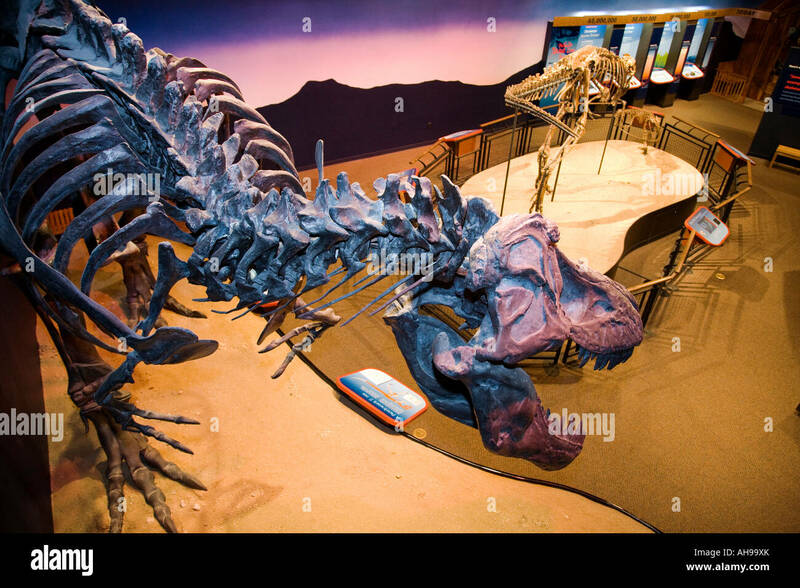 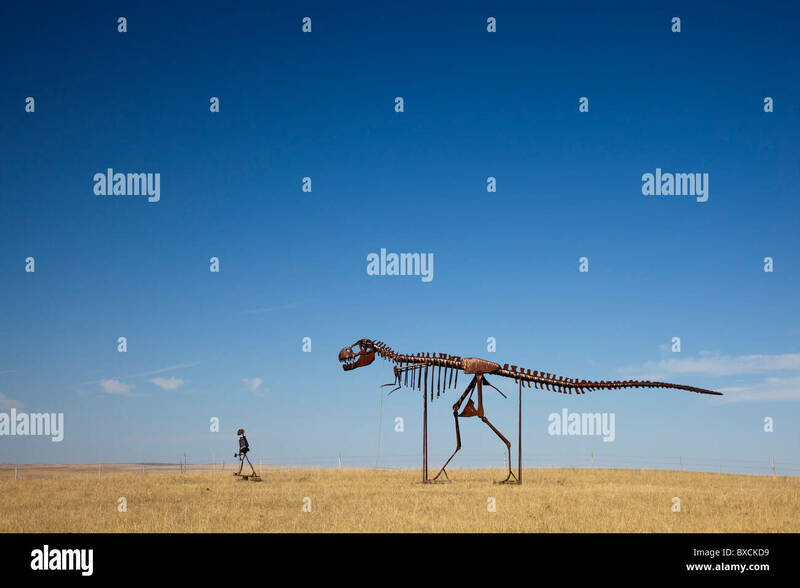 Stamford, South Dakota - Skeletons of a man and a dinosaur walking across the plains of South Dakota. 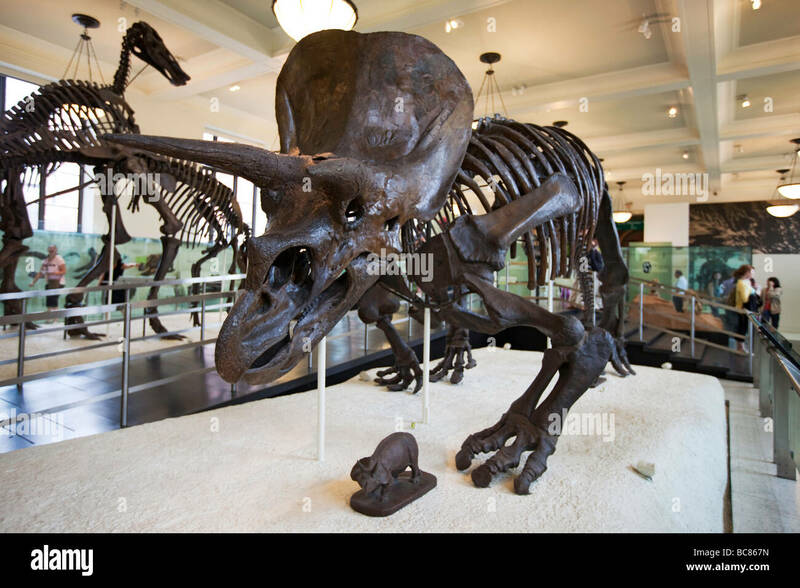 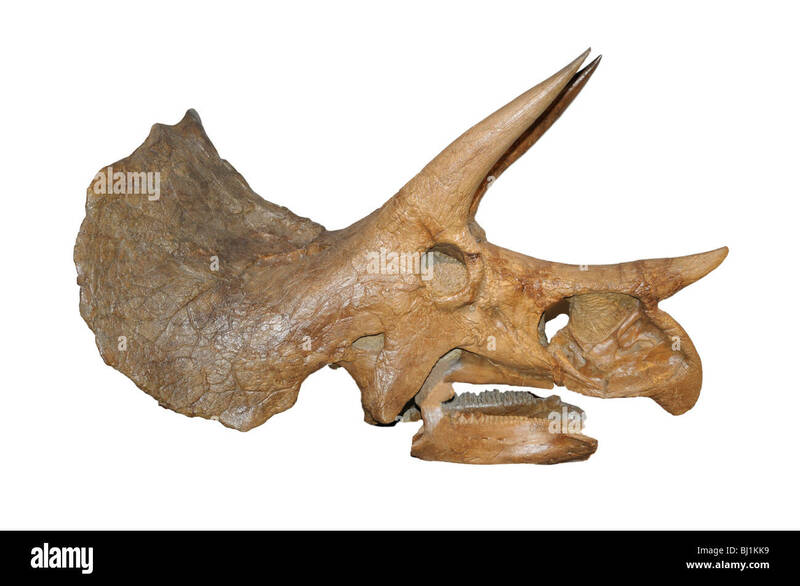 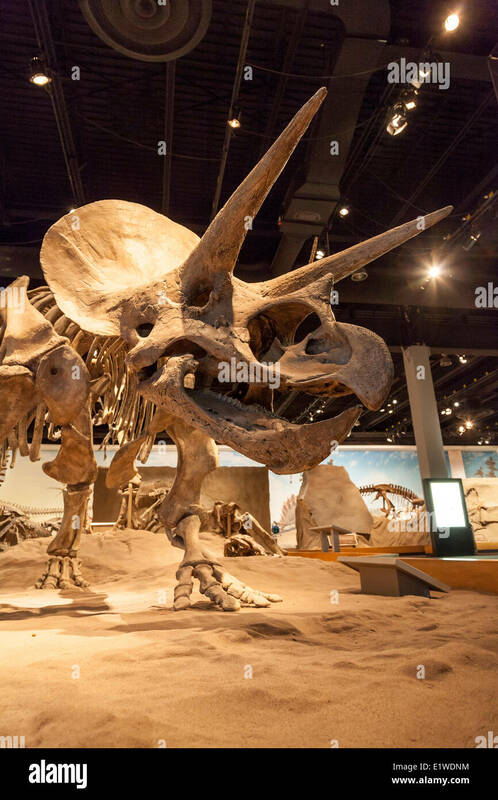 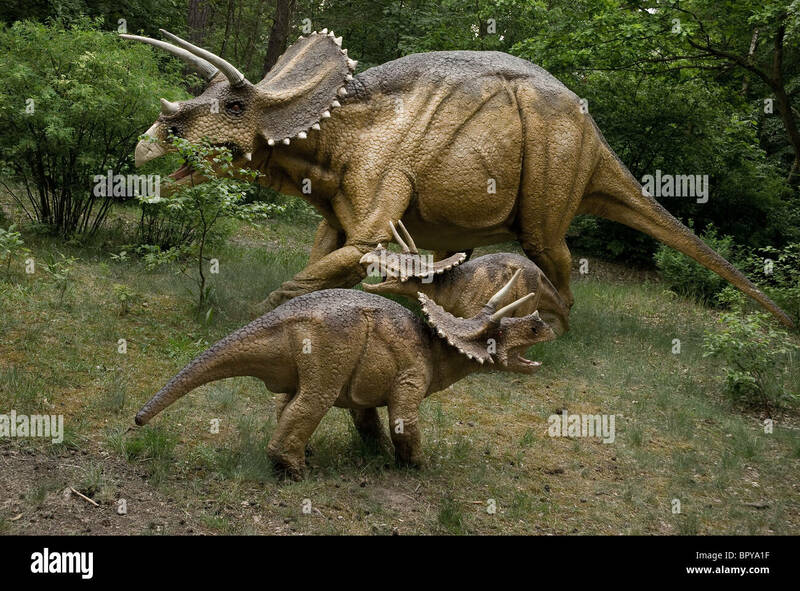 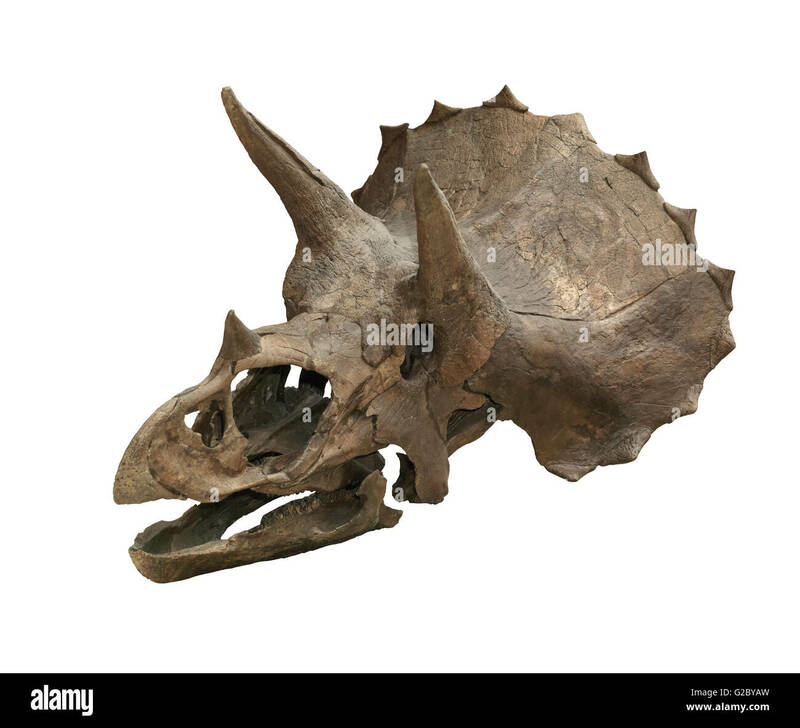 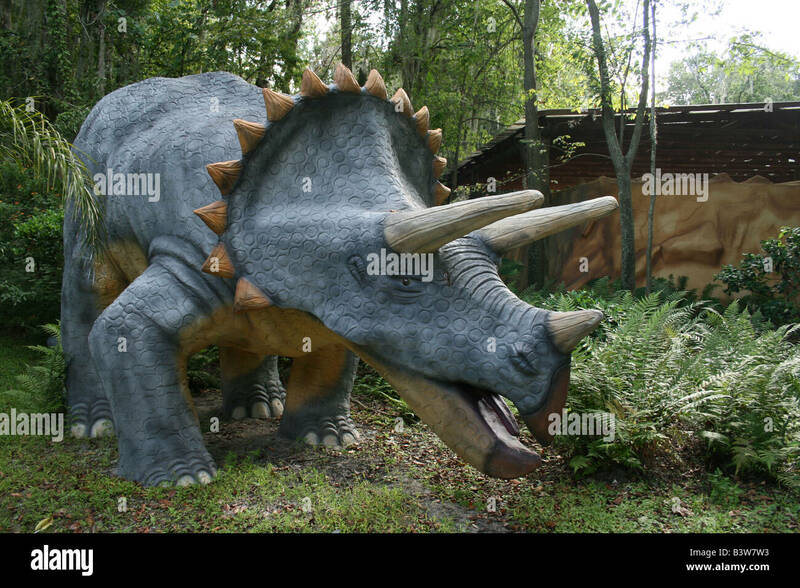 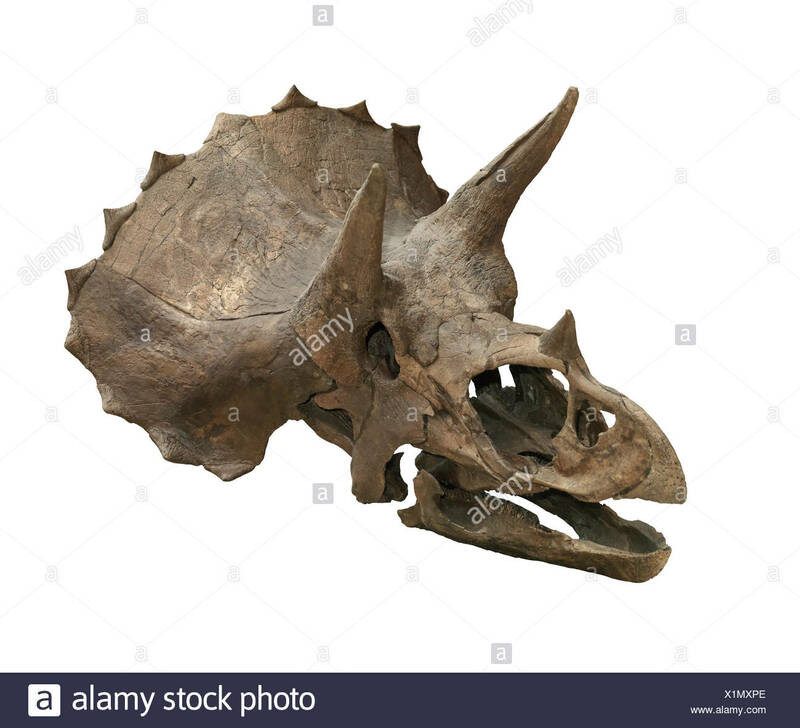 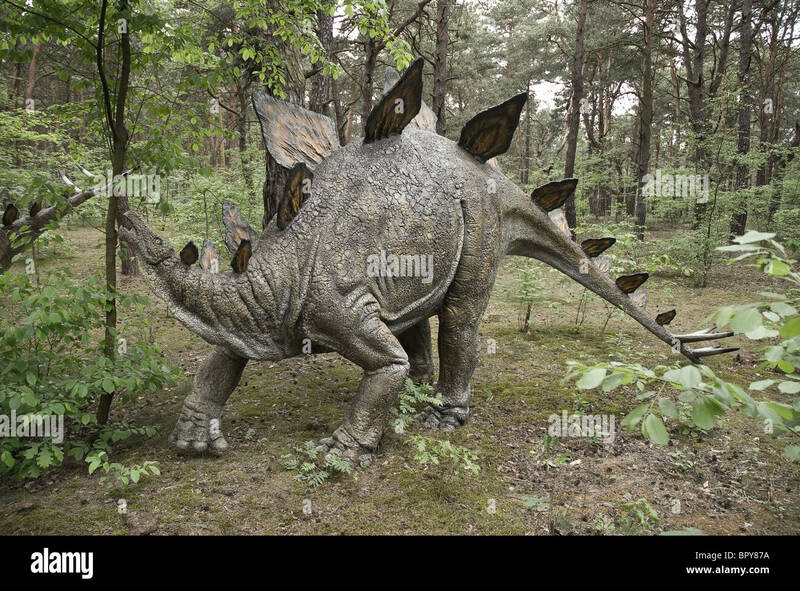 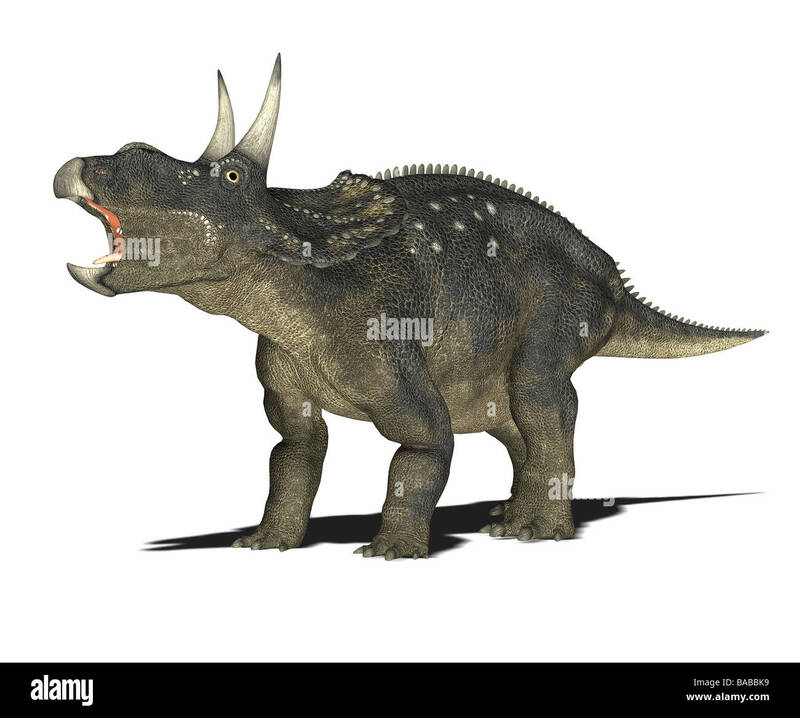 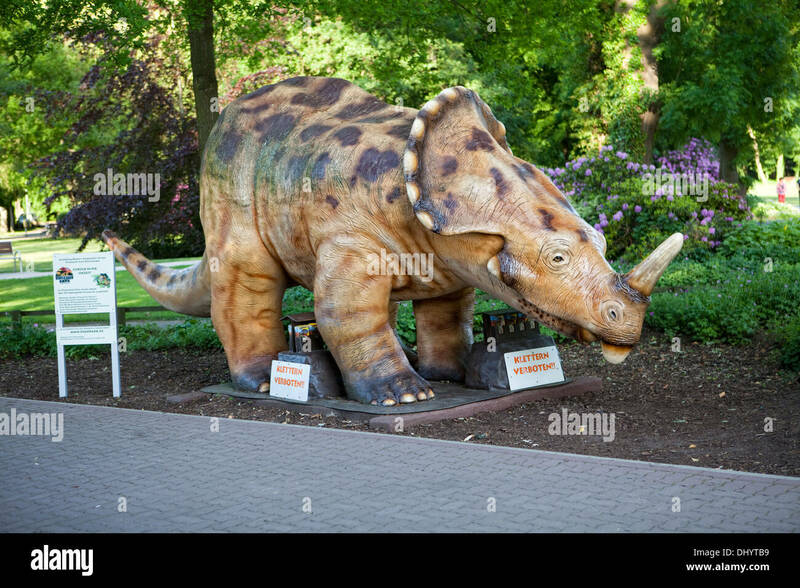 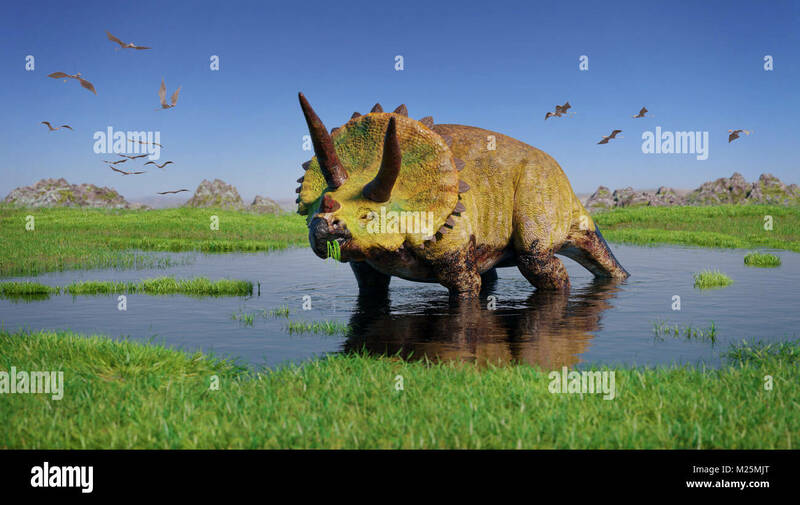 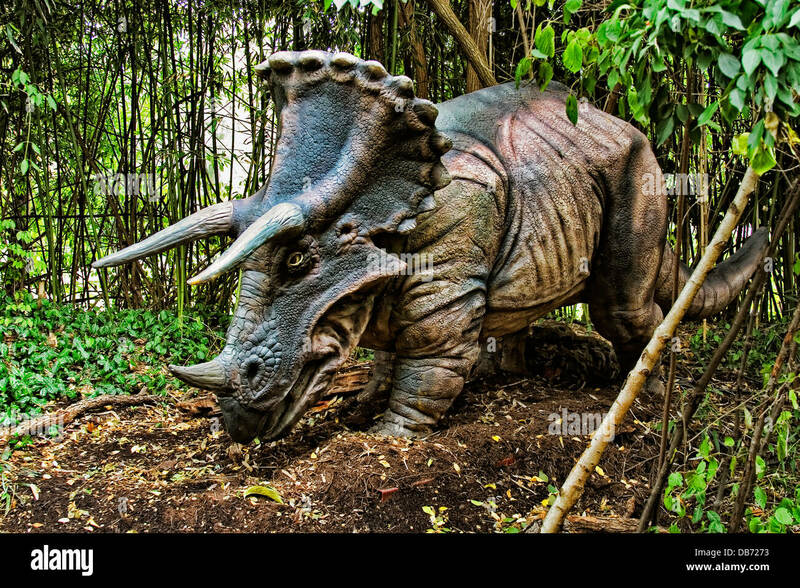 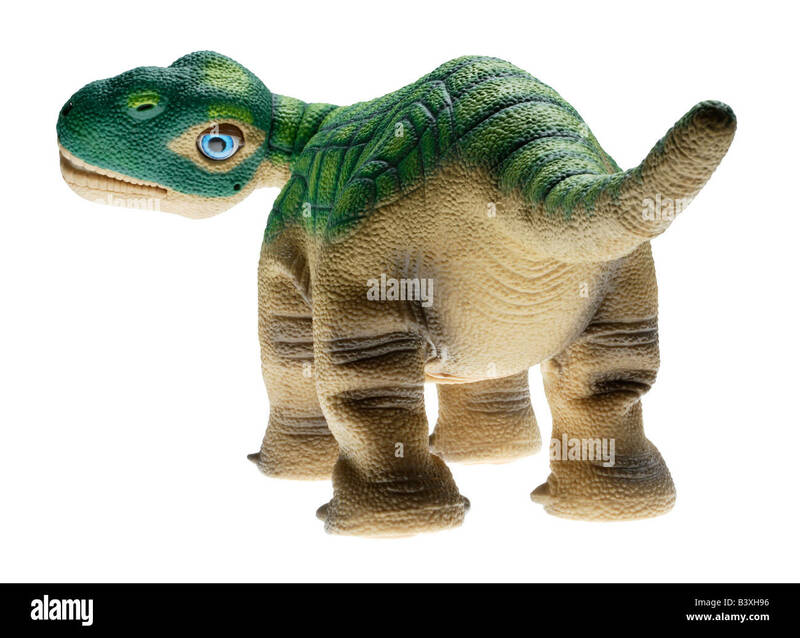 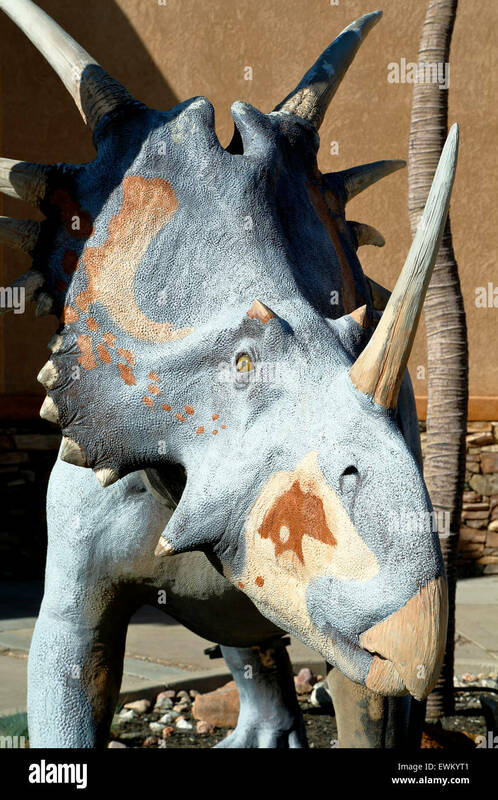 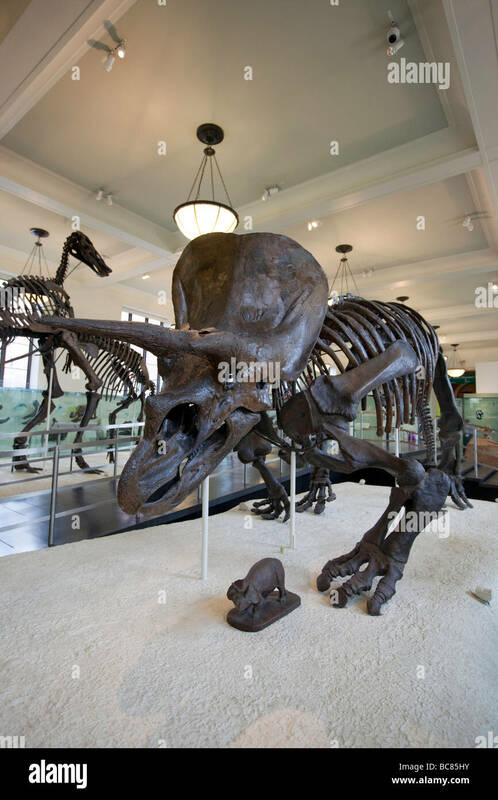 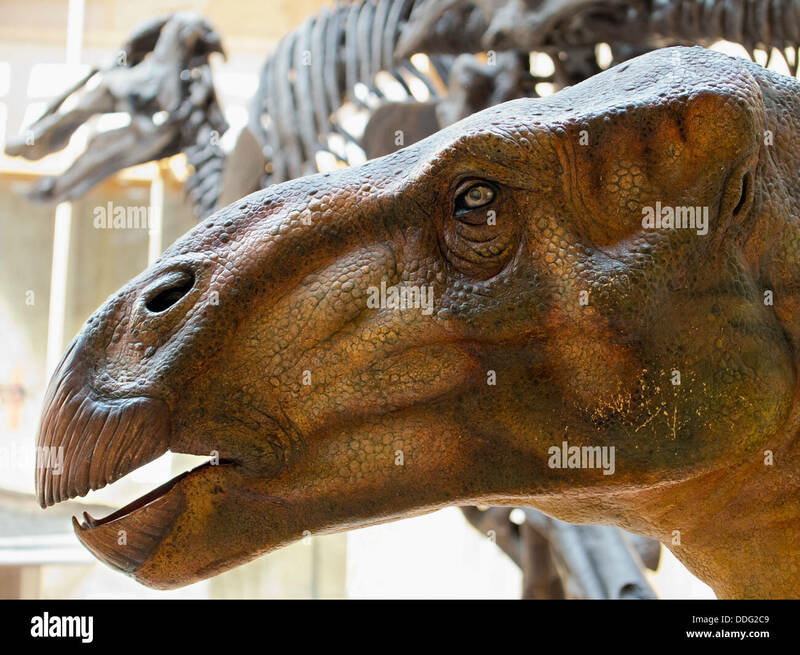 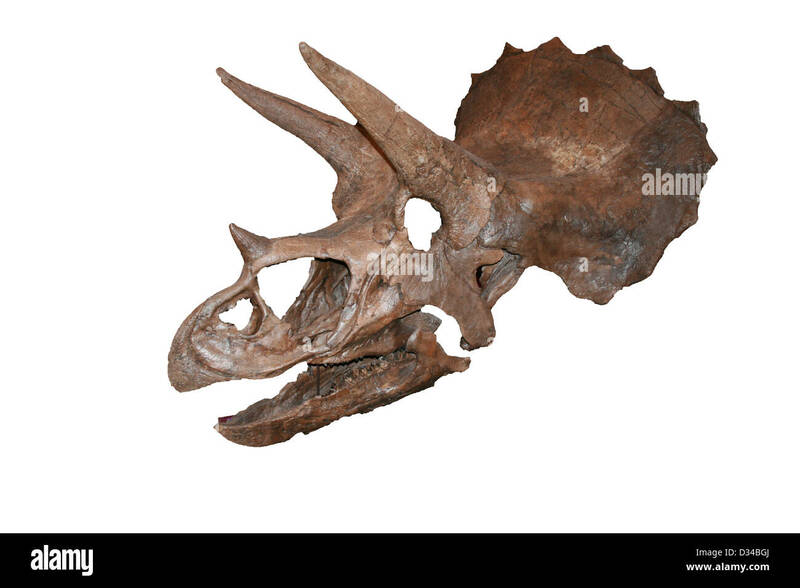 Triceratops (which means 'three horned face') dinosaur from the late Cretaceous period. 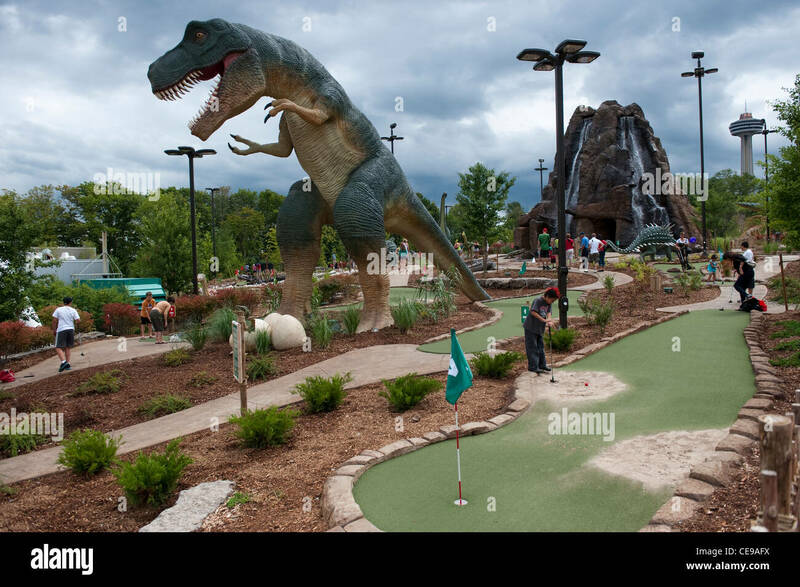 Dinosaur crazy golf at Clifton Hills, Niagara Falls Canada. 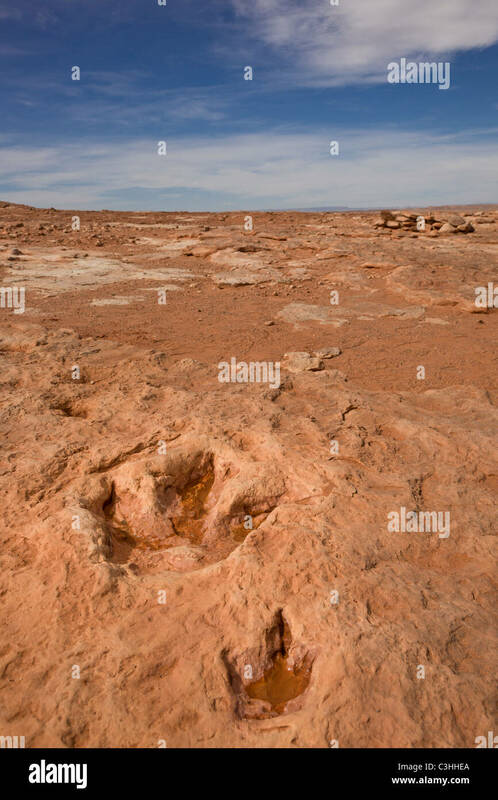 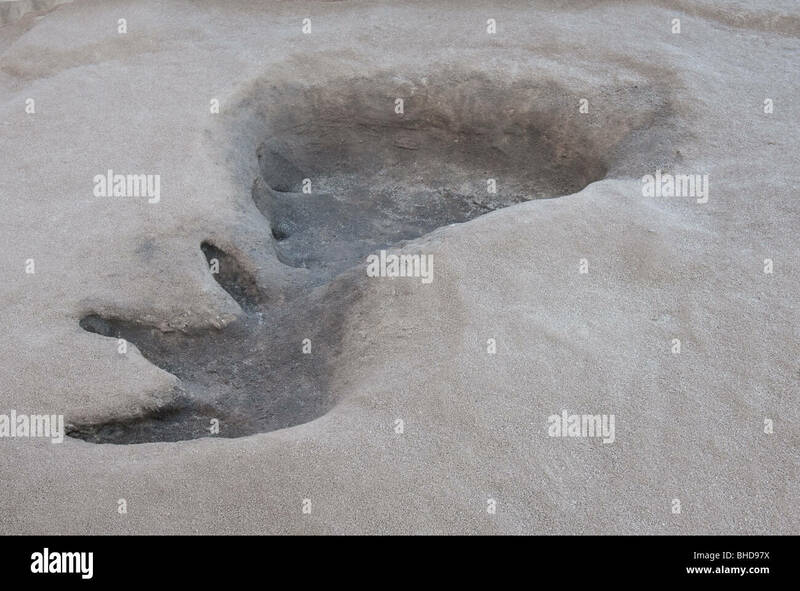 Pair of early Jurassic Therapod tracks, mother and young Dilophosaurus wetherilli, at Moenkopi Dinosaur Tracks, Arizona, USA. 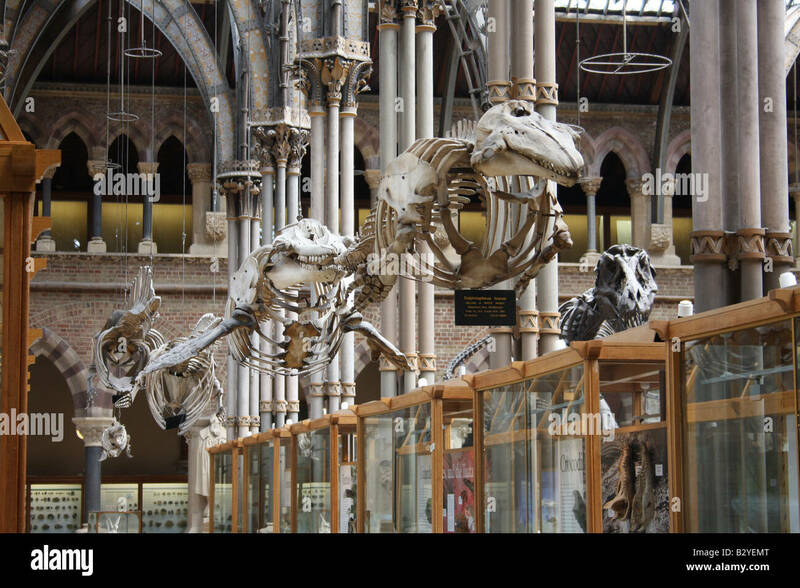 Dinosaur skeletons in Oxford's Natural history museum. 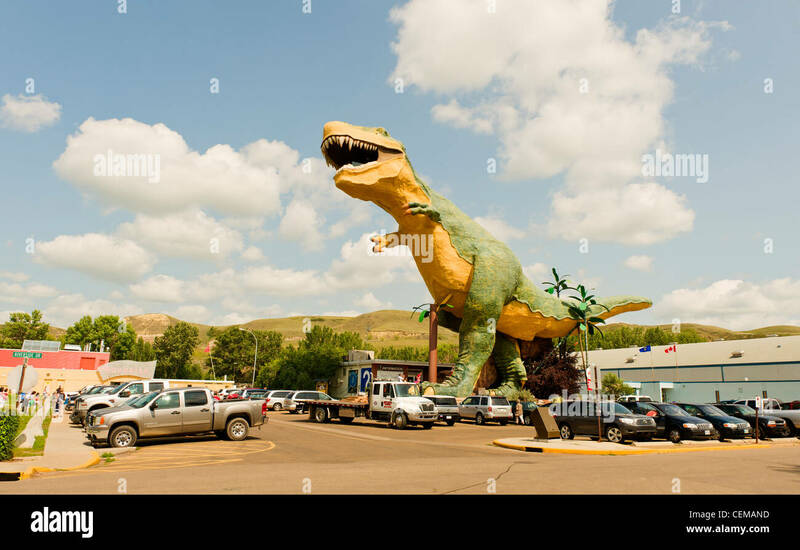 'Worlds Largest Dinosaur', a 25 m. tall fiberglass and steel Tyrannosaurus Rex model, in Drumheller, Alberta, Canada. 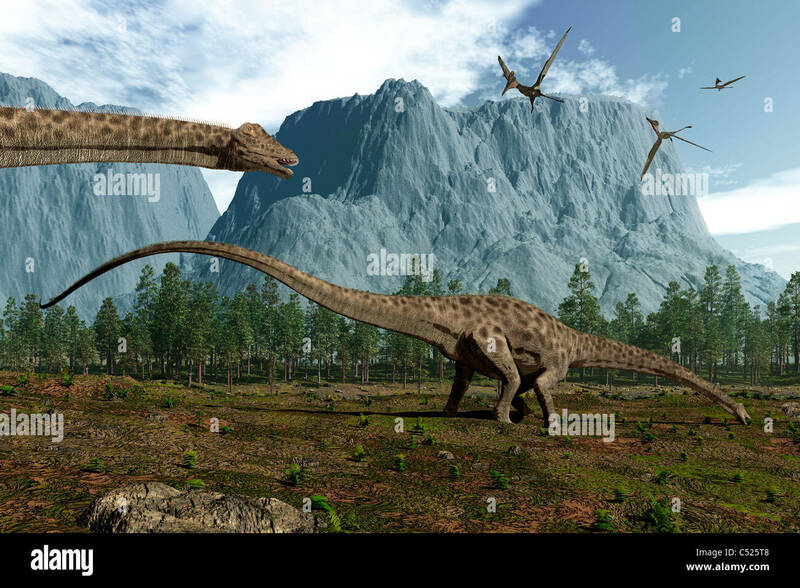 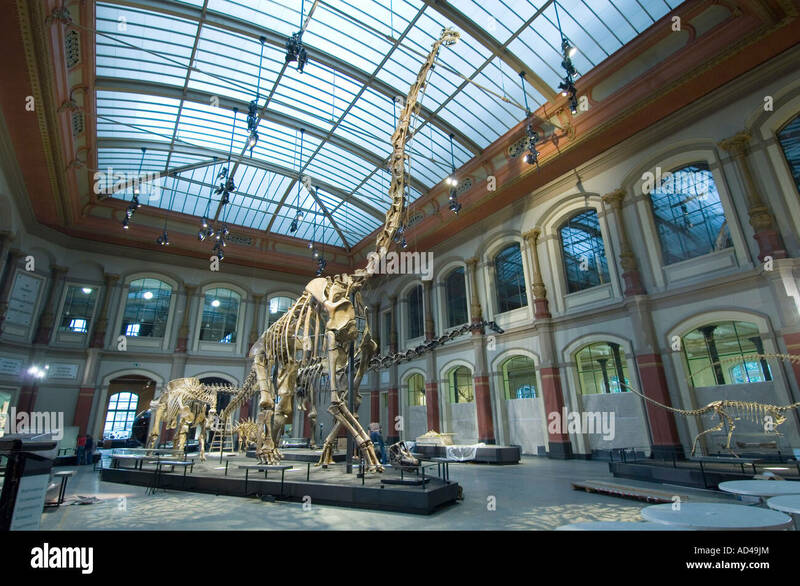 Diplodocus dinosaurs graze while pterodactyls fly overhead. 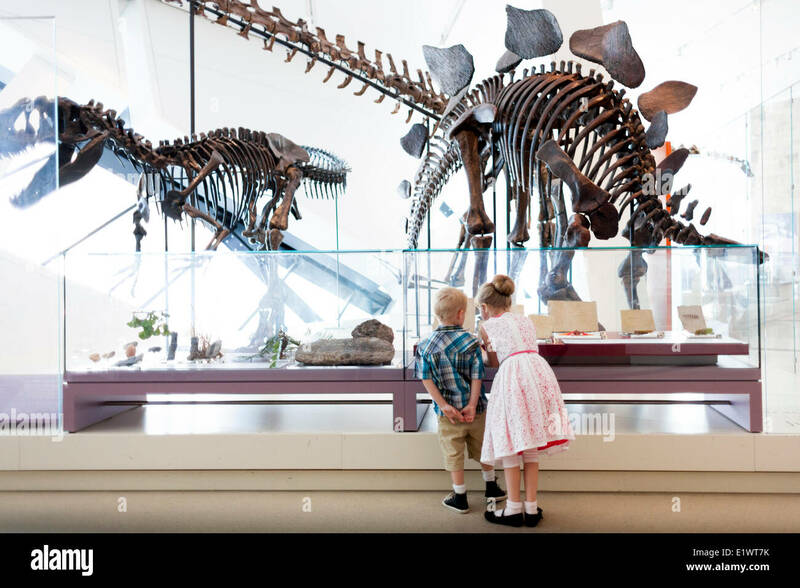 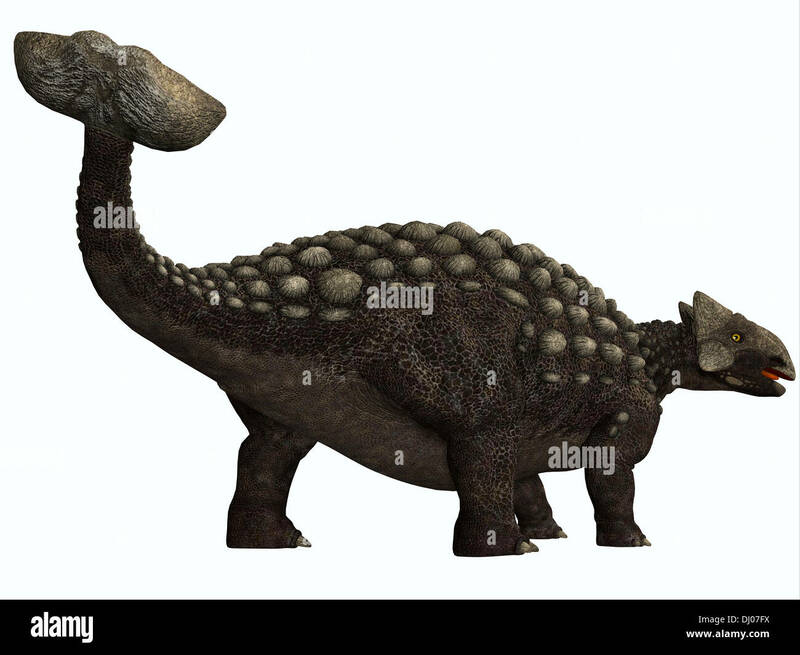 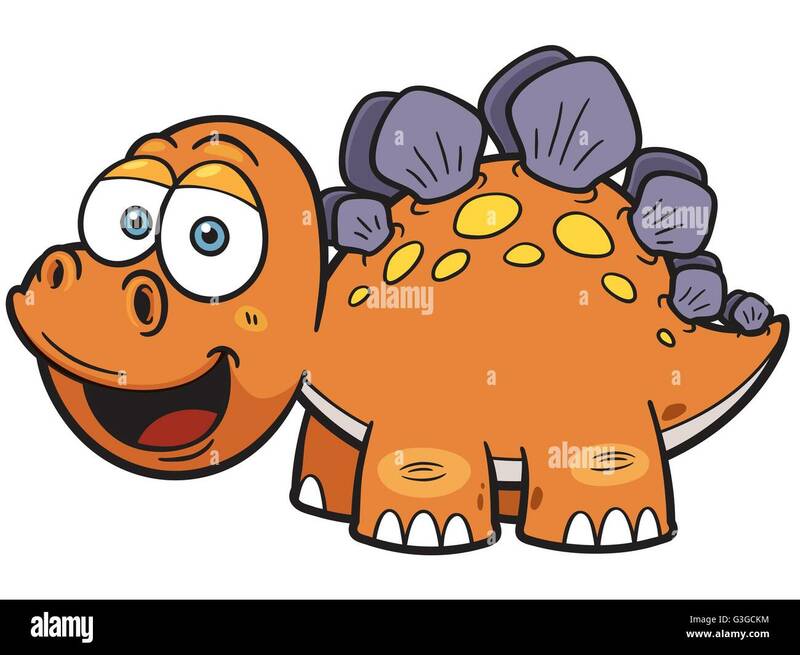 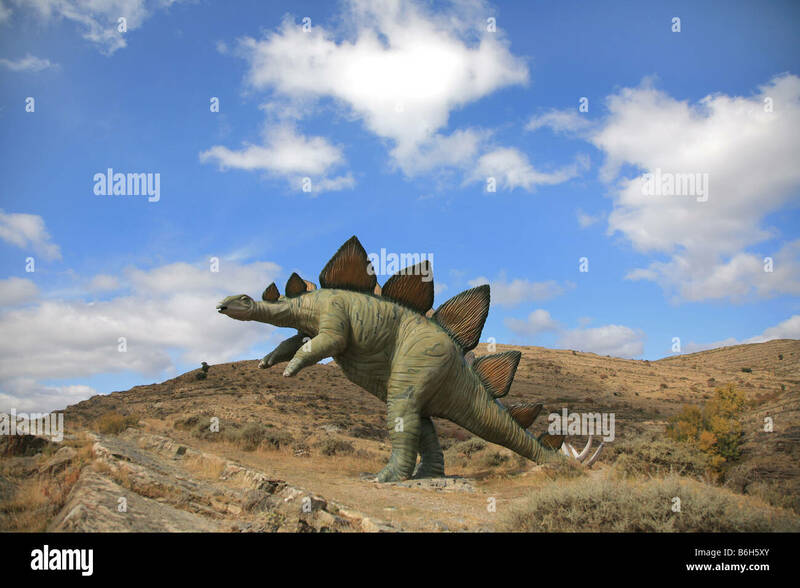 Ankylosaurus was a heavily armored herbivore dinosaur from the Cretaceous Period. 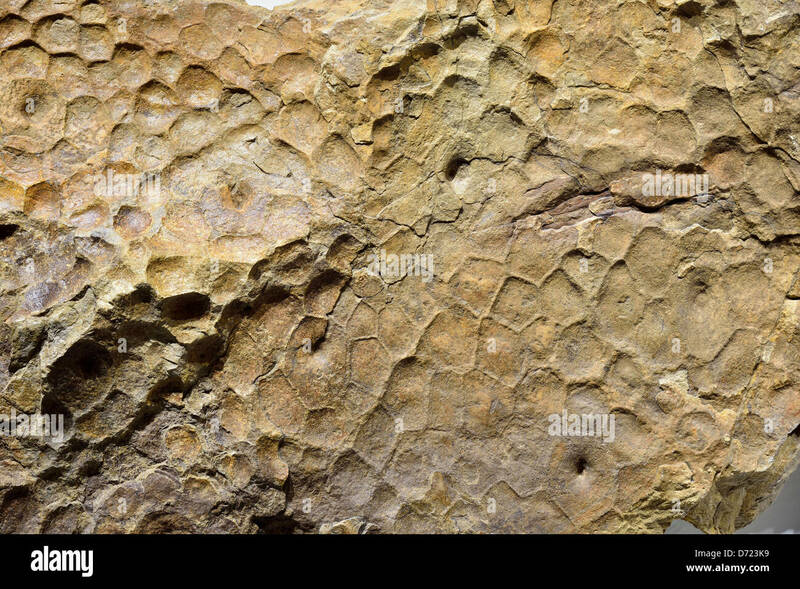 Fossilized imprint of Triceratops dinosaur skin. 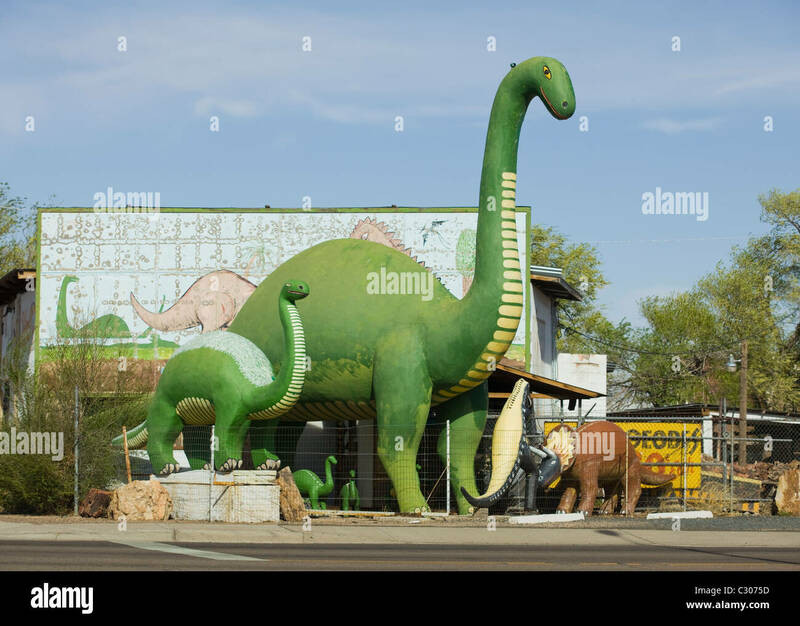 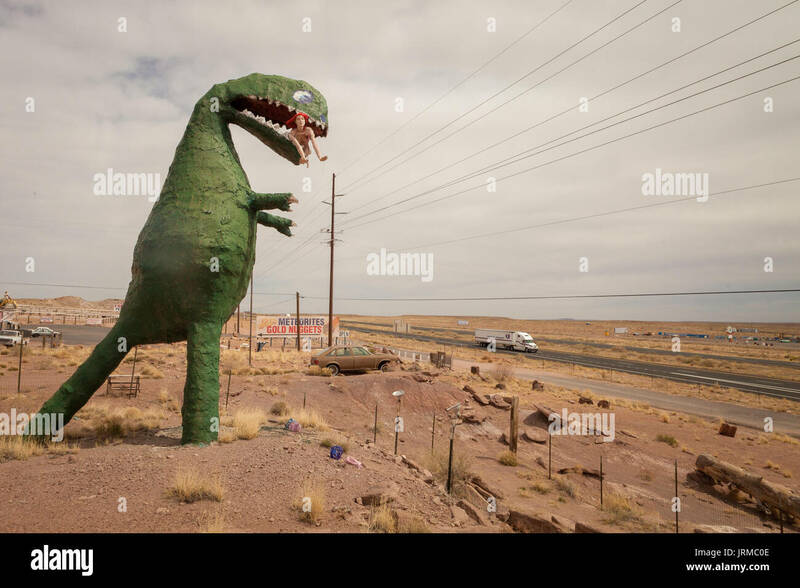 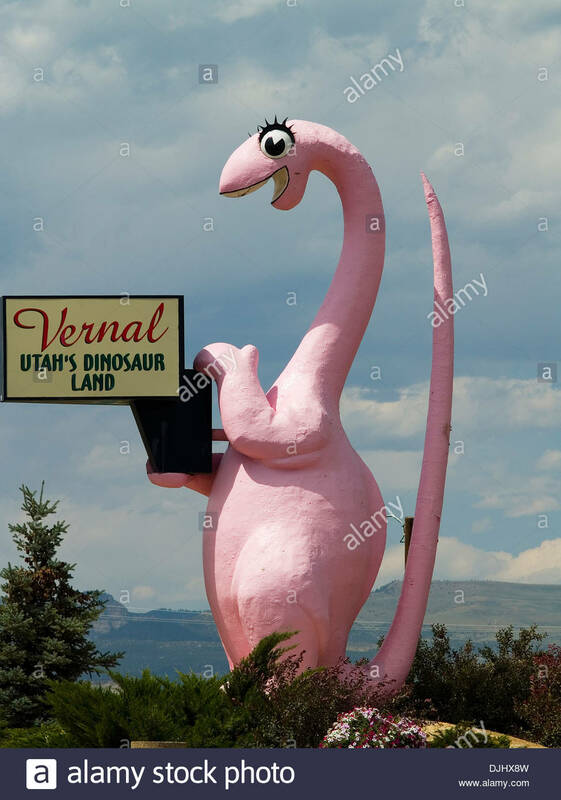 Giant dinosaur sculpture just off Route 66 in Holbrook, Arizona, created by Charles Stewart. 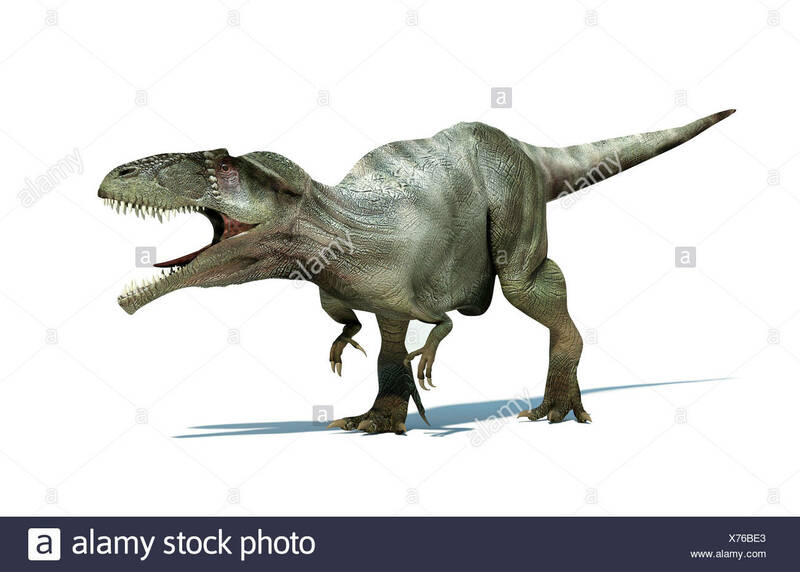 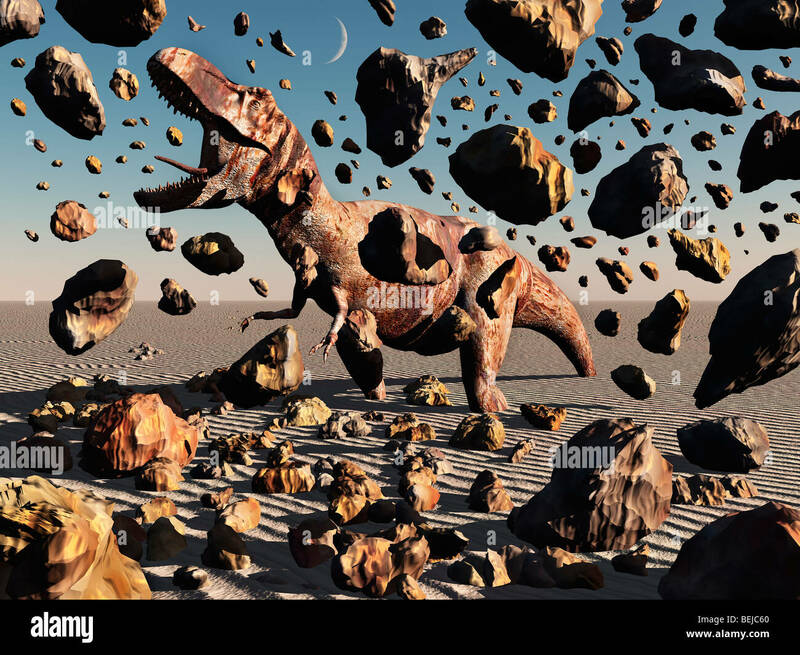 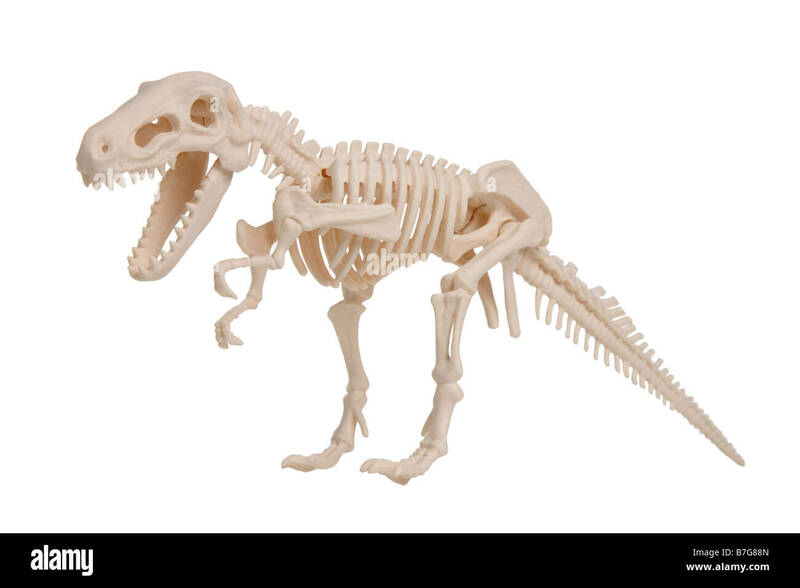 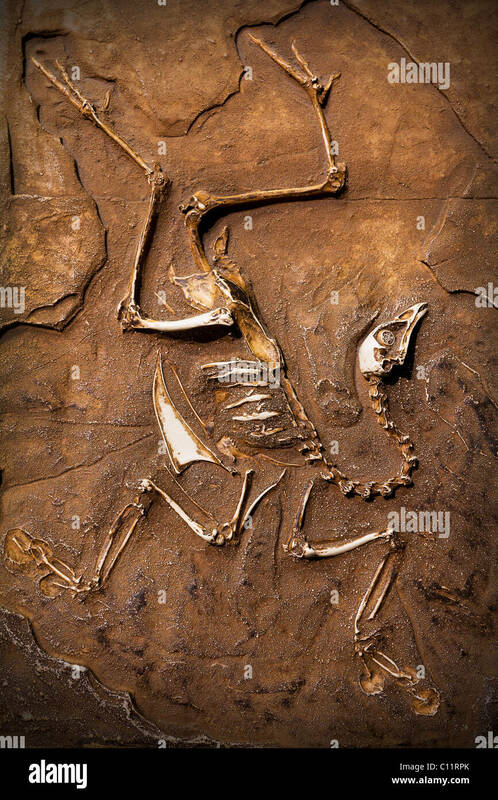 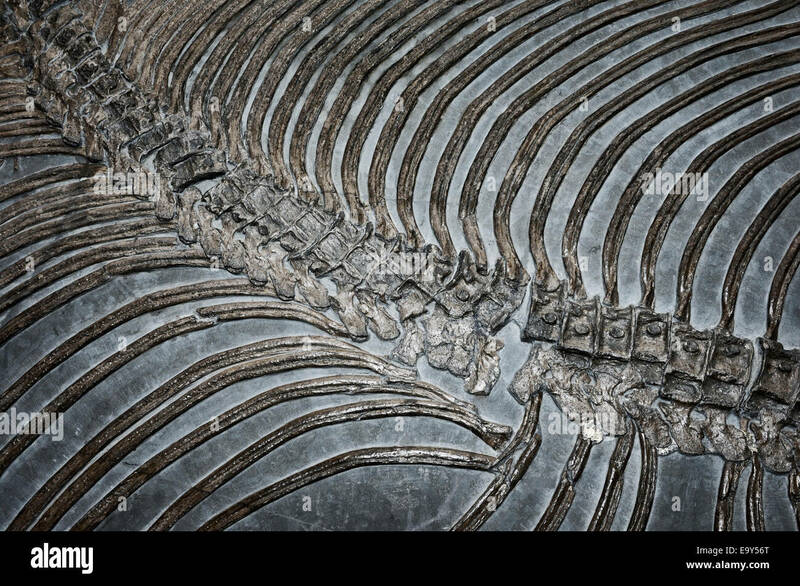 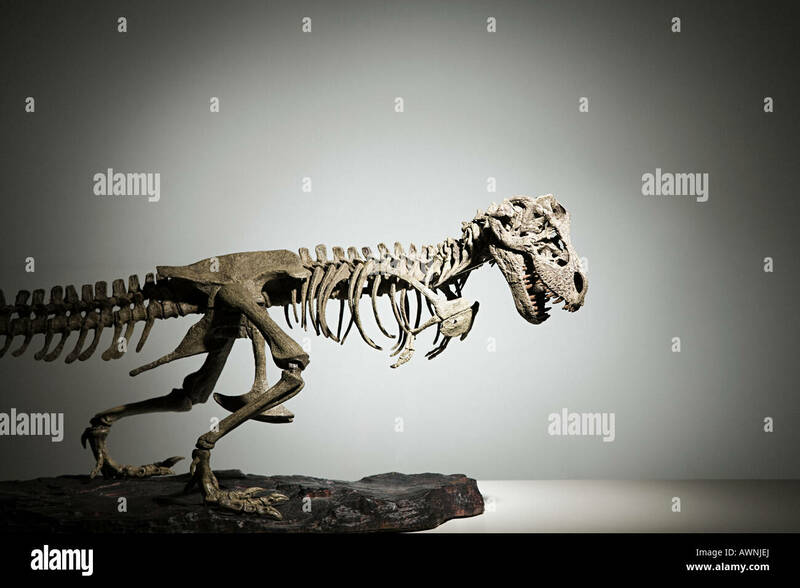 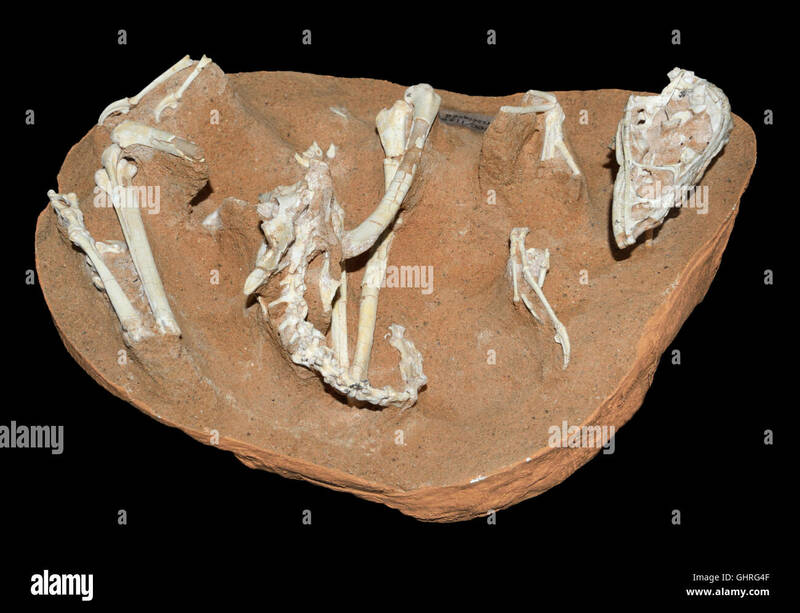 A Fossilized T Rex Dinosaur,Coming To Life. 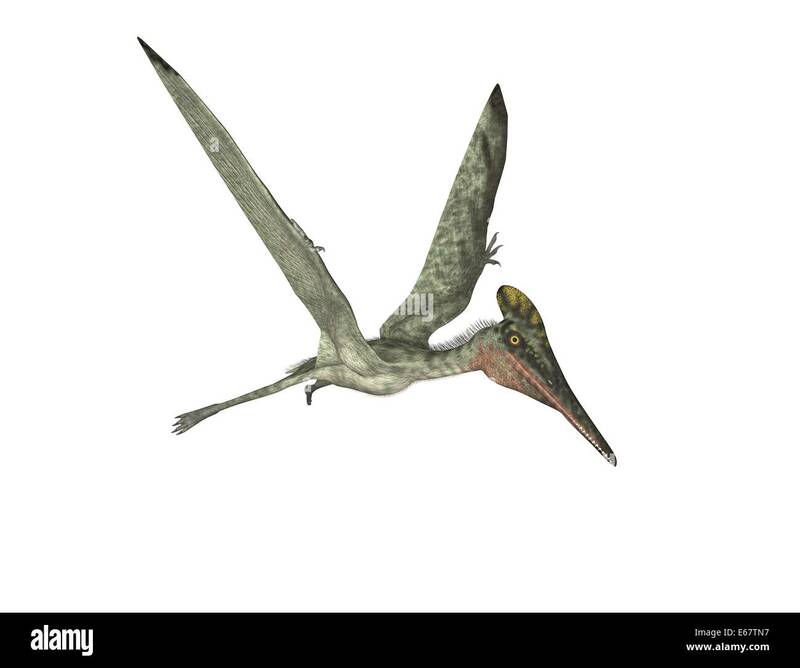 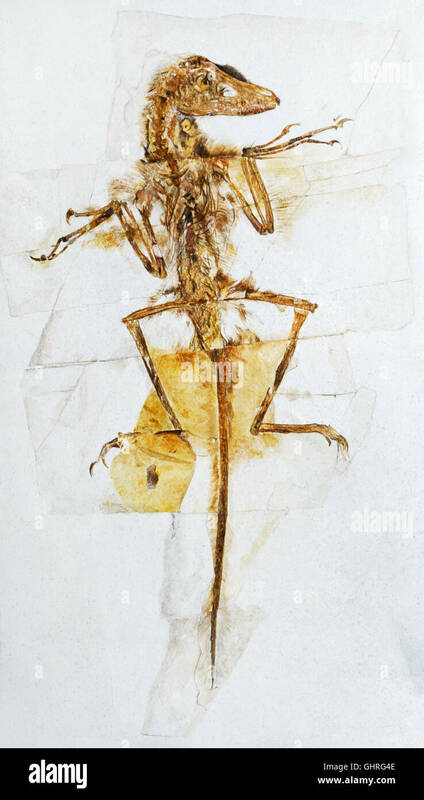 A close-up of a colorful large-billed Dimorphodon. 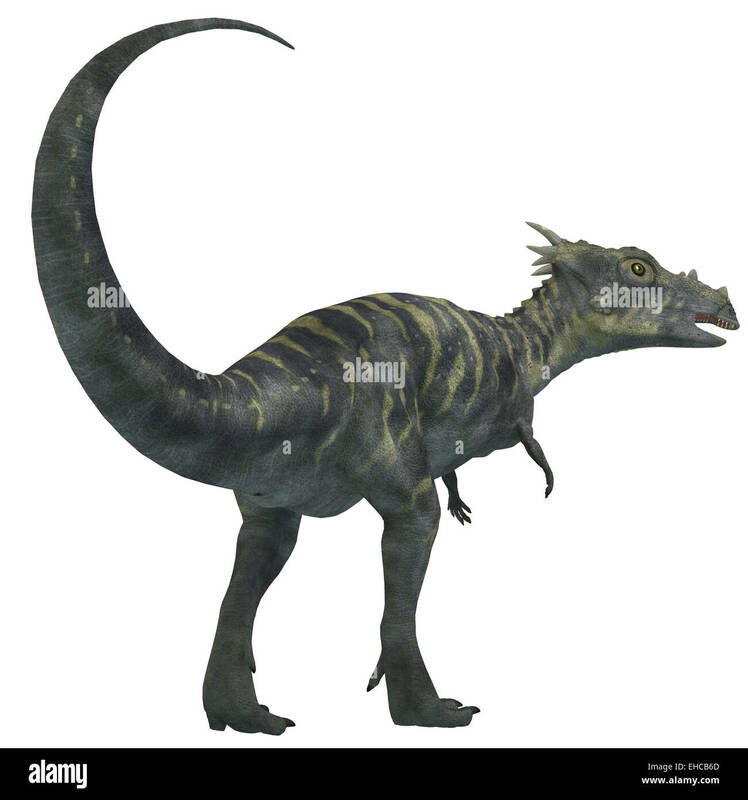 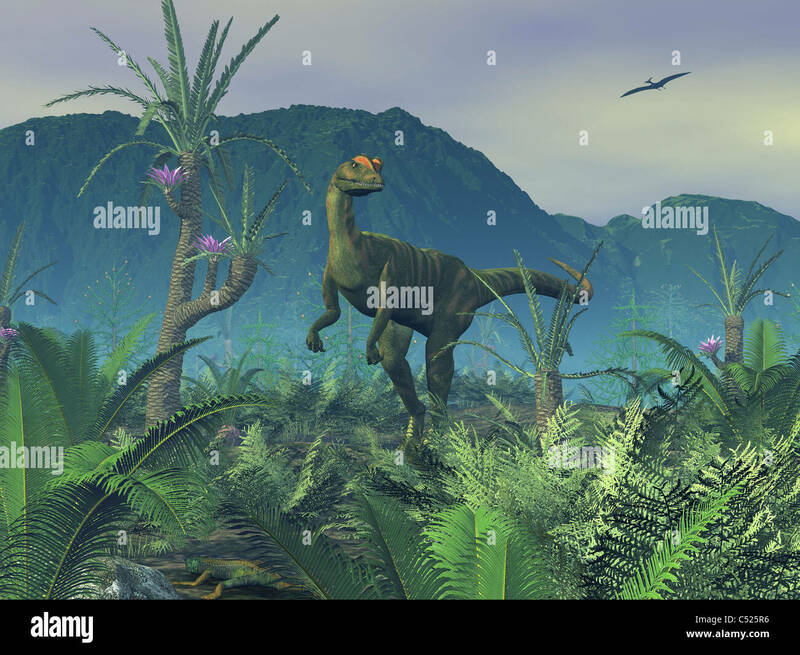 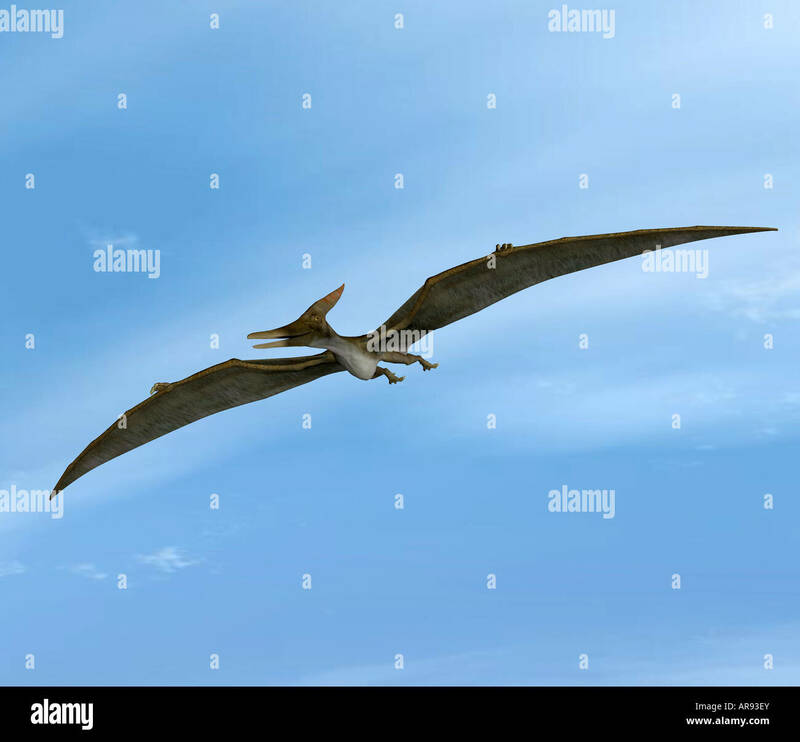 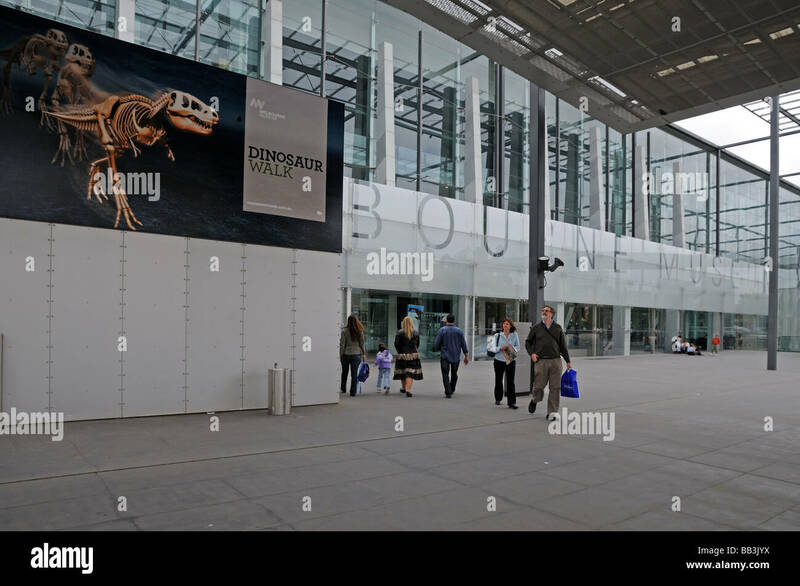 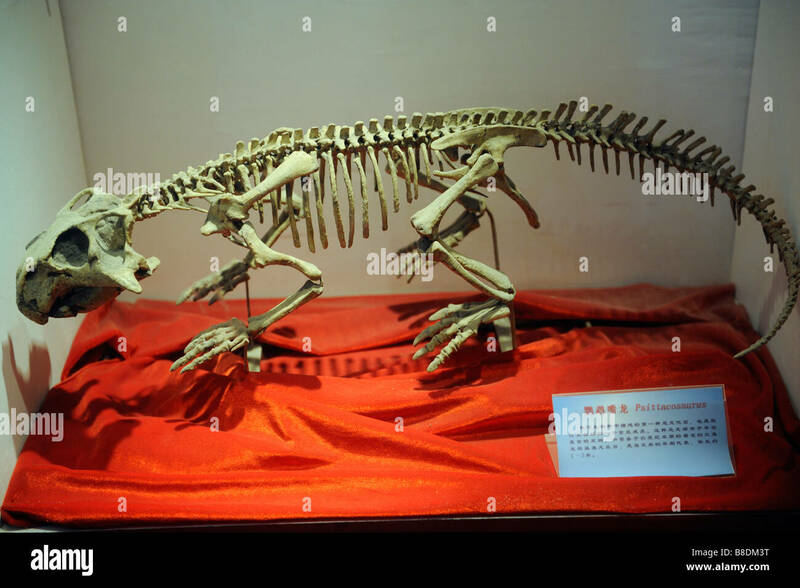 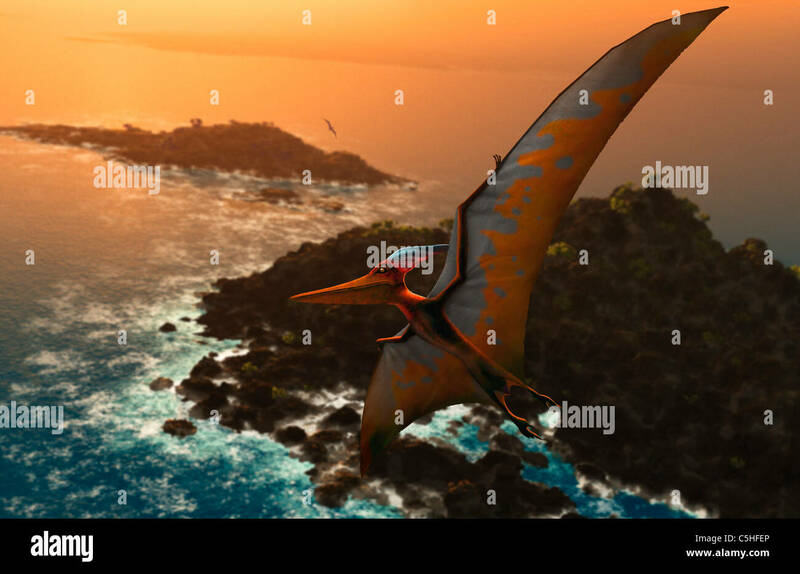 Dracorex was a herbivorous dinosaur that lived in the Cretaceous Period of North America. 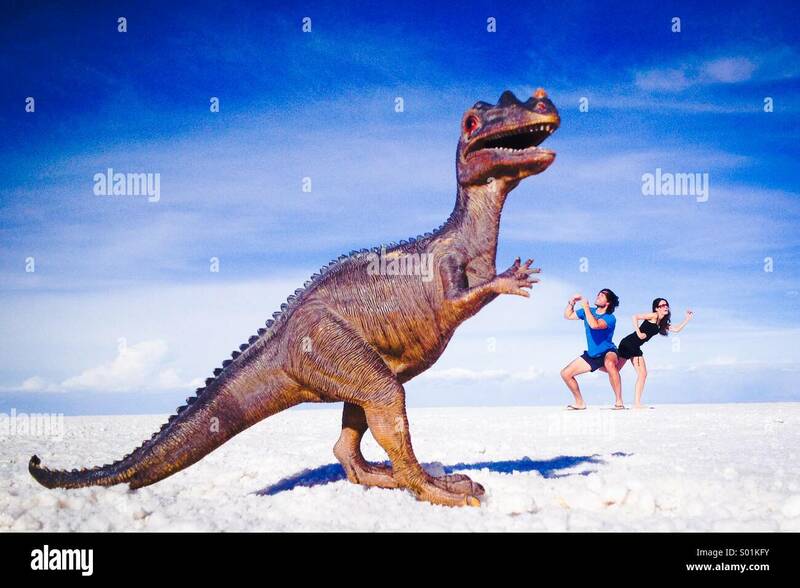 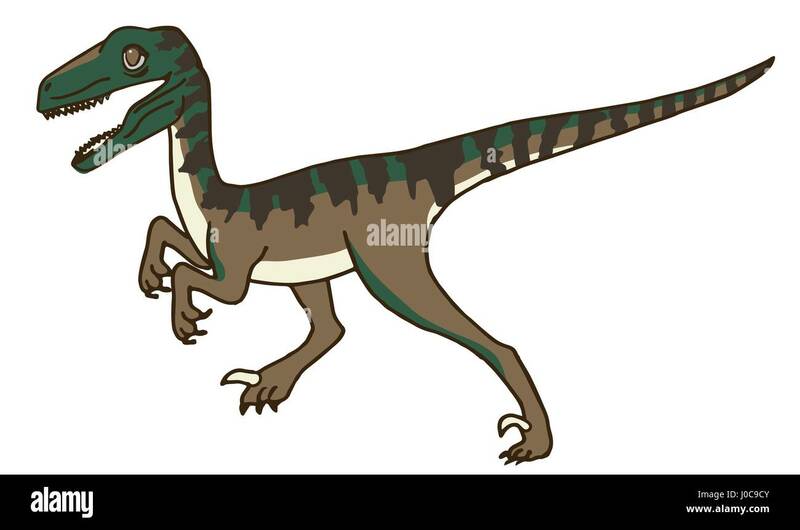 Cute Velociraptor or Raptor Dinosaur Stalking Prey, or maybe Running, Walking, or Standing. 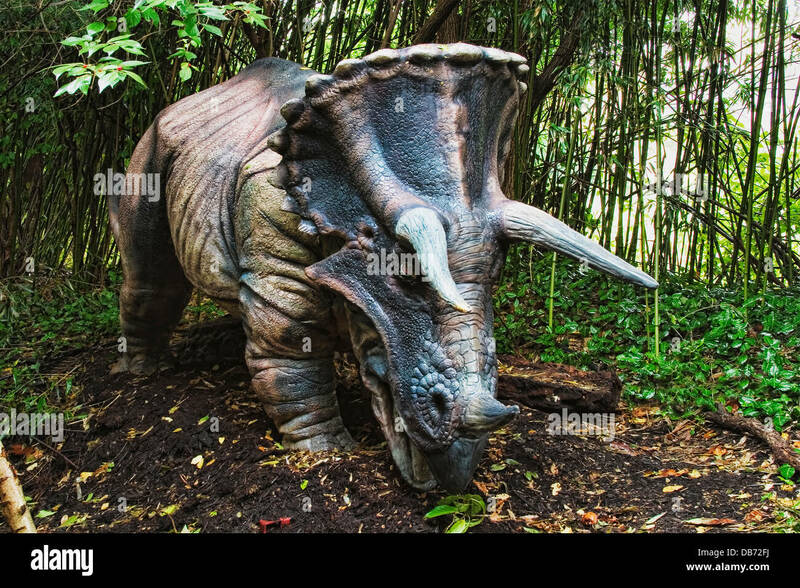 Triceratops dinosaur at Dinosaur World, Plant City, FL. 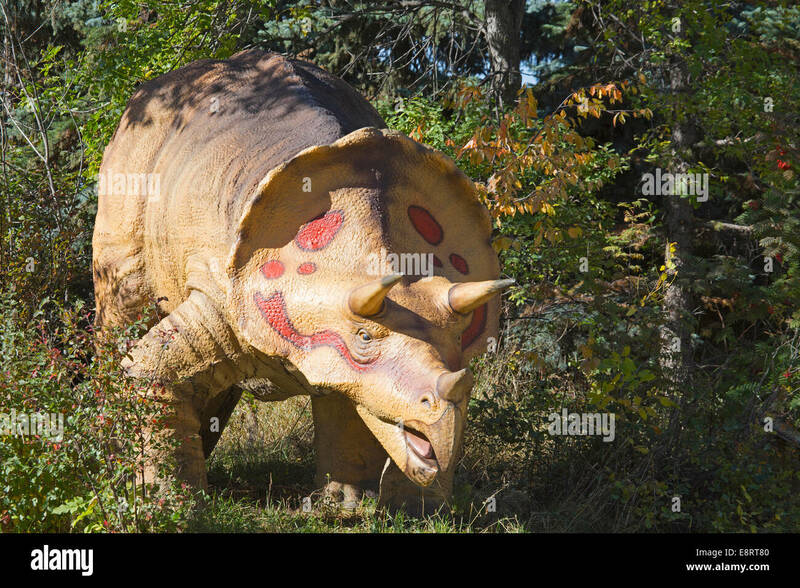 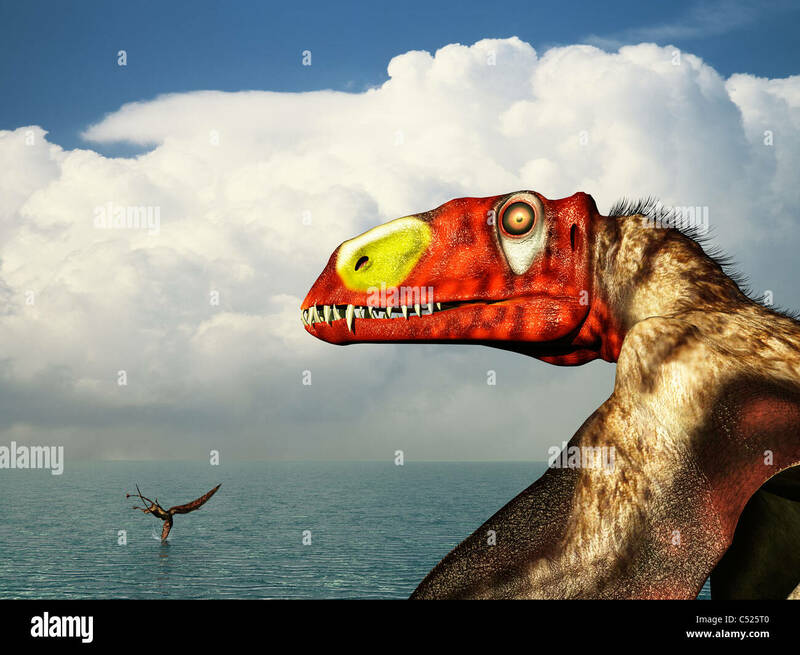 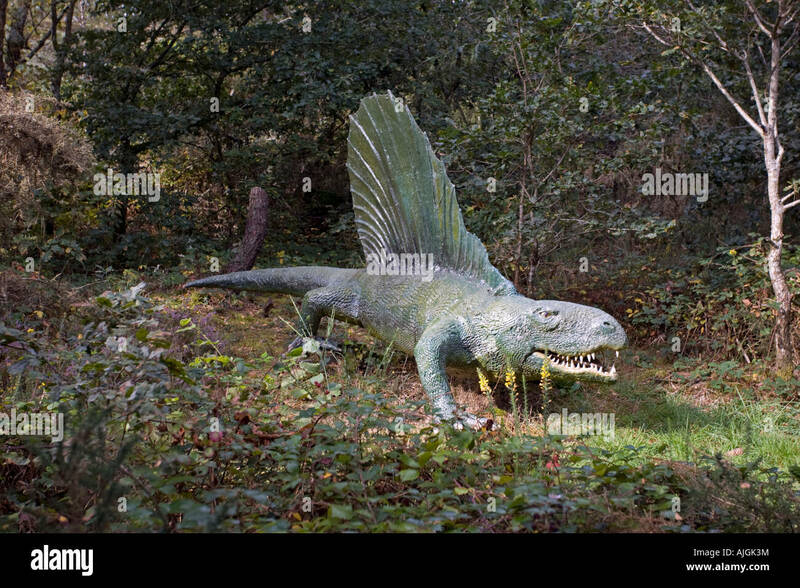 A colorful adult male Dilophosaurus explores a hilltop.